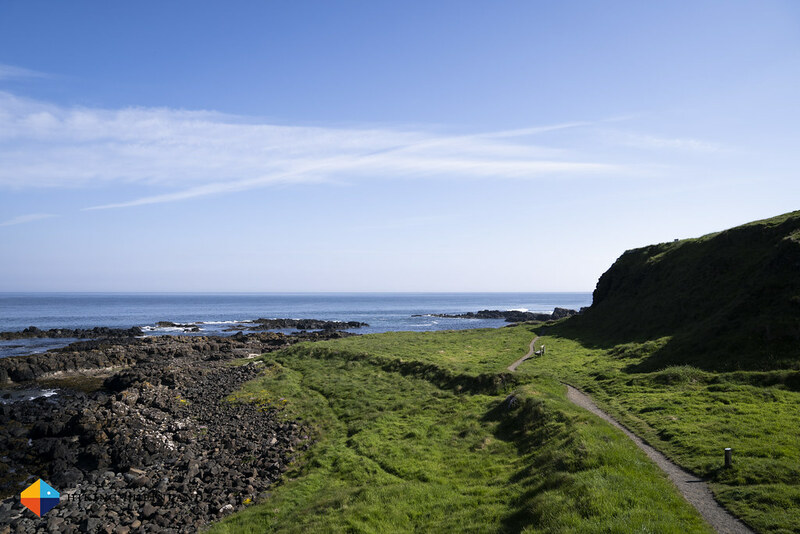 The Causeway Coast Way is a 52 km long trail which is so beautiful, that instead of hiking quicker and aiming for a fast speed, I only slowed down. To take in the gorgeous landscape. Hear the waves break and roll up the sandy beach. Feel the wind on my face. And to relax and feel happy. Disclosure: This trip was supported by Tourism Ireland and Discover Northern Ireland, additionally I also received a fee for my work. This does not influence the article as I maintain full editorial control of the content published on this site. Read the Transparency Disclaimer for more information on affiliate links & blogger transparency. 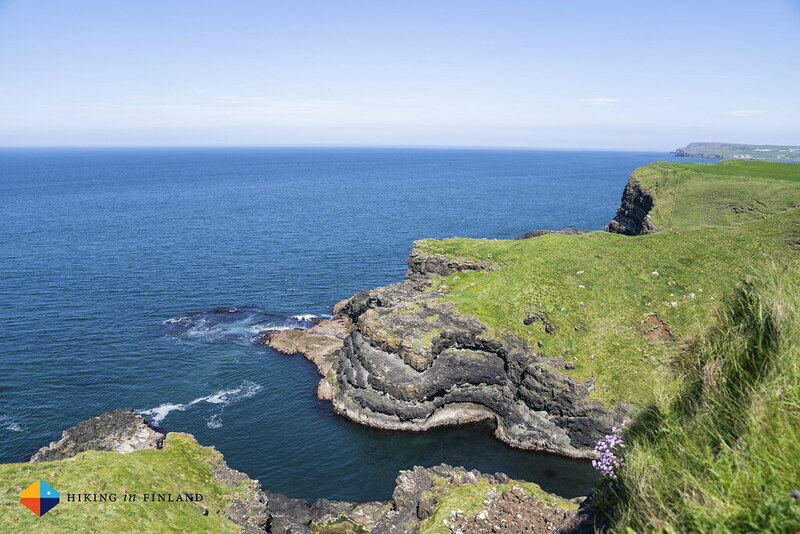 The last time in Ireland I was Sea Stack Climbing in Donegal and hiking the International Appalachian Trail. 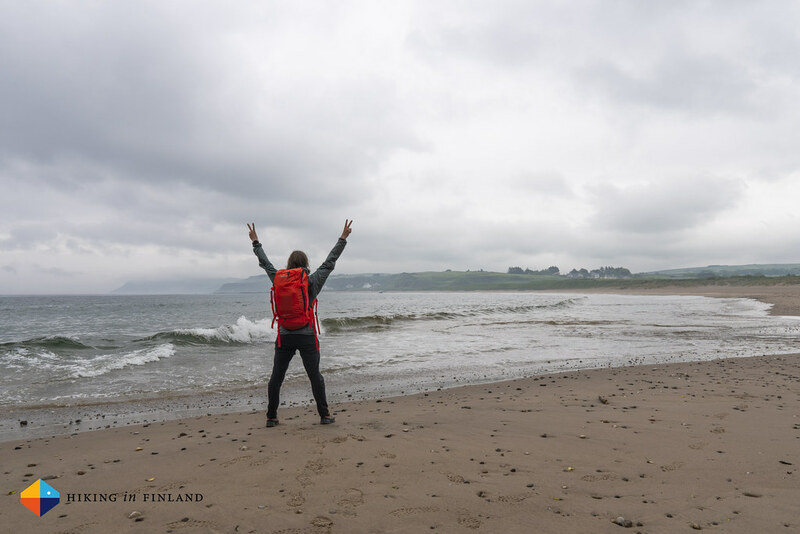 It was a great adventure and I loved the country - the North of Ireland is still wild, beautiful and offers so much possibilities to outdoor enthusiasts. 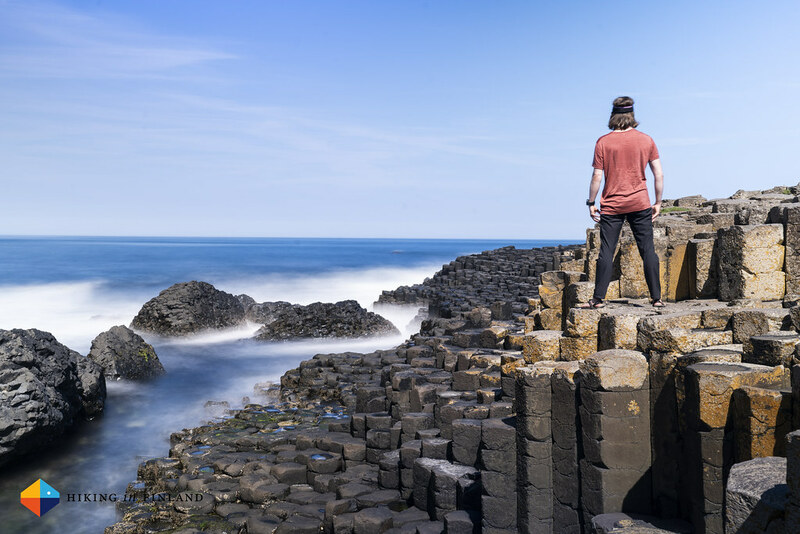 This time I picked out the Causeway Coast Way, which is also one of Lonely Planet’s top destinations in 2018. But rest assured - besides two places the trail is calm and you mostly hike on your own! Lets start things off with the video I made - tapping of the foot with the music is definitely allowed! Doesn’t that look awesome? Yes, I was unbelievably lucky with the weather (and I placed so much good faith in the weather forecast that I didn’t even take a hardshell 🤣), three days of hiking in the sun and 20+ degrees with just the last morning being a bit of mist and drizzle (though it was atmospheric, as you saw in the video and the images underneath). So lets dive in into the detailed Guide! 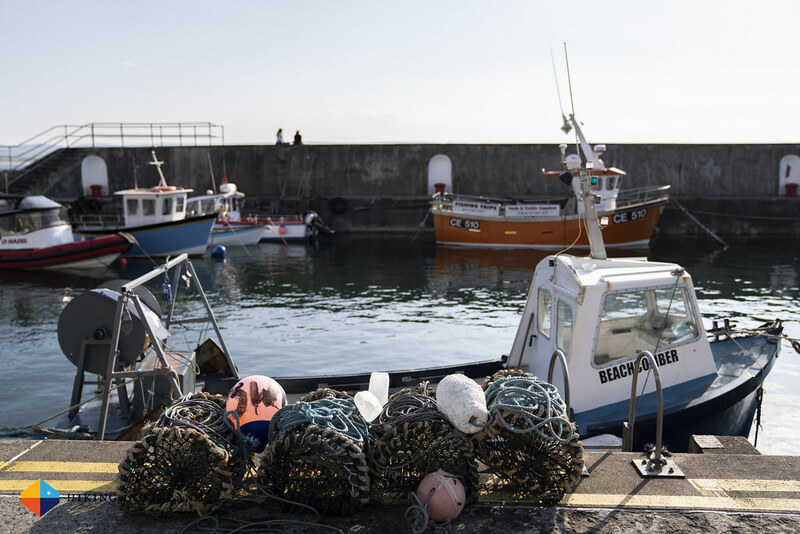 I flew to Dublin, hopped on an Aircoach Bus, got a coffee and Sandwich in Belfast and switched to the Translink train to Coleraine, from where I hopped on the Bus to Portstewart. From Dublin to Portstewart is a enjoyable 4,5 hours journey with Public Transportation, and trains and Busses were running on time, staff was friendly and helpful, and I enjoyed looking out of the window. In Portstewart I strolled a short walk to my B&B, where I dropped that part of my gear which I didn’t need and then went for a walk to Portstewart Strand, the start of the Causeway Coast Way. 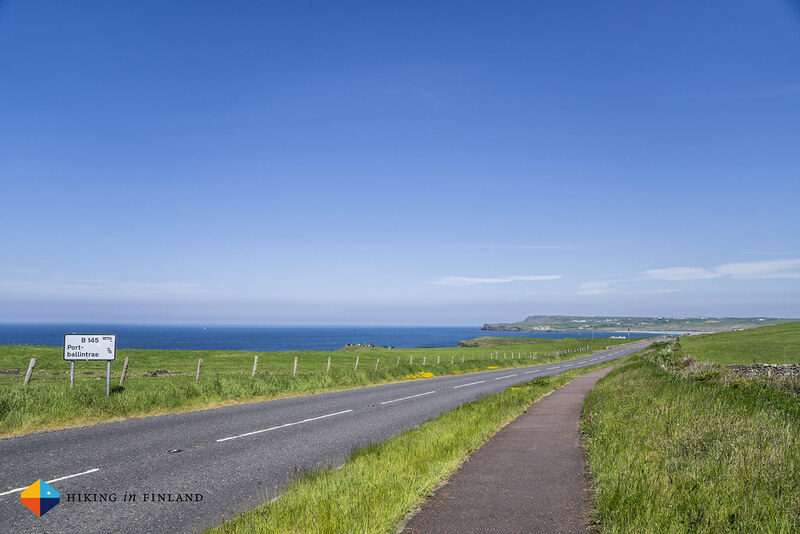 Now the Causeway Coast Way is the hiking route between Portstewart and Ballycastle, but there’s also a Causeway Coastal Route which is for people who prefer to drive a car. 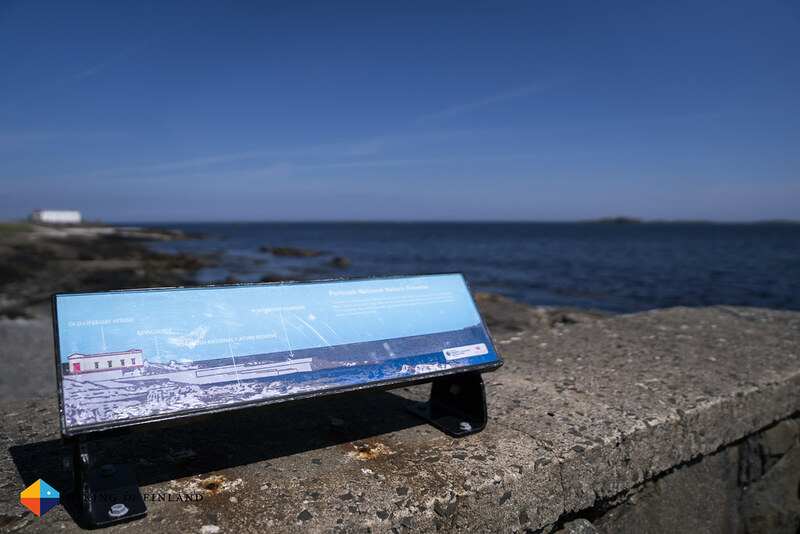 I think you miss out on some of the best bits if you drive a car around, many of the images here were taken at spots far from a road and hence I’d encourage everyone reading this to hike the Coastway Coast Way, don’t drive it. 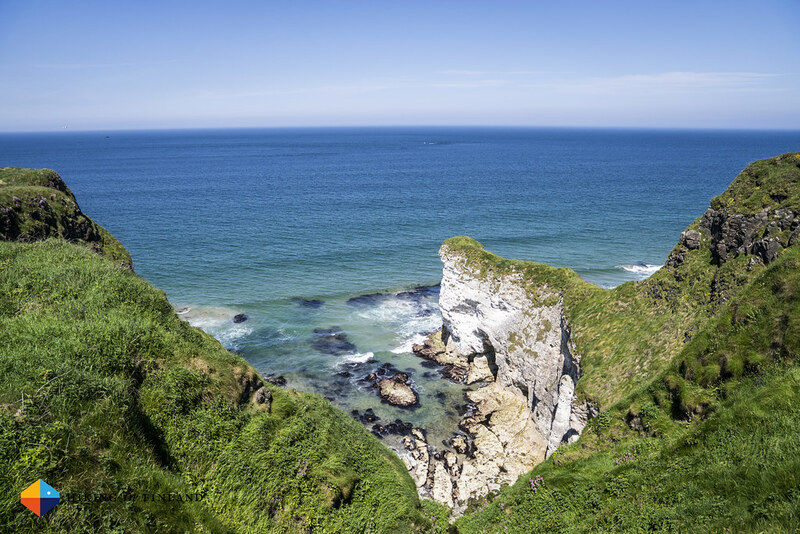 Yes, the Giant’s Causeway is amazing and the Carrick-A-Rede Rope Bridge is thrilling, but there’s over 50 km more of amazing scenery! Add in that the Coastway Coast Way is easy, has great paths, you can hike it in three or more days, and there’s the Rambler Bus which can take you to the next stop if you can’t walk anymore, and you realize this is a beautiful hike for any age and for hiking novices and experts alike. Alright, enough preaching 🤣 Lets go hiking! 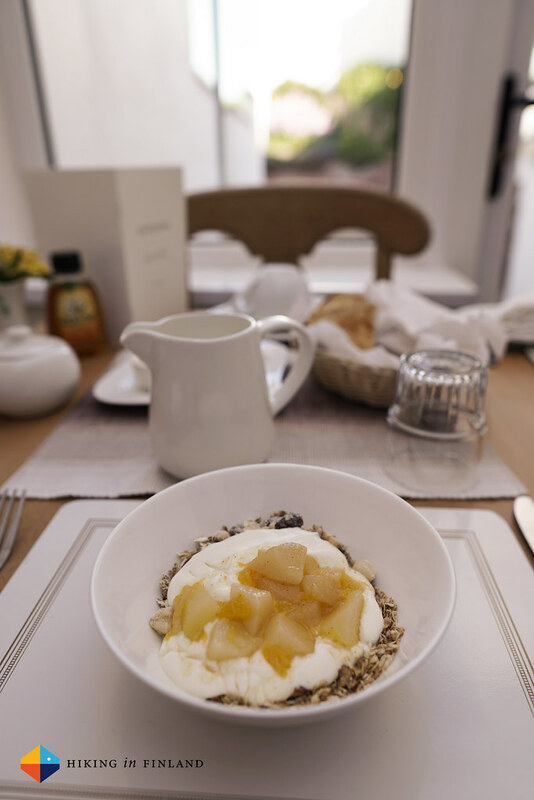 The Cul Erg B&B in Portstewart is a stone throw away from the Causeway Coast Way, about three kilometres from the start at Portstewart Strand. 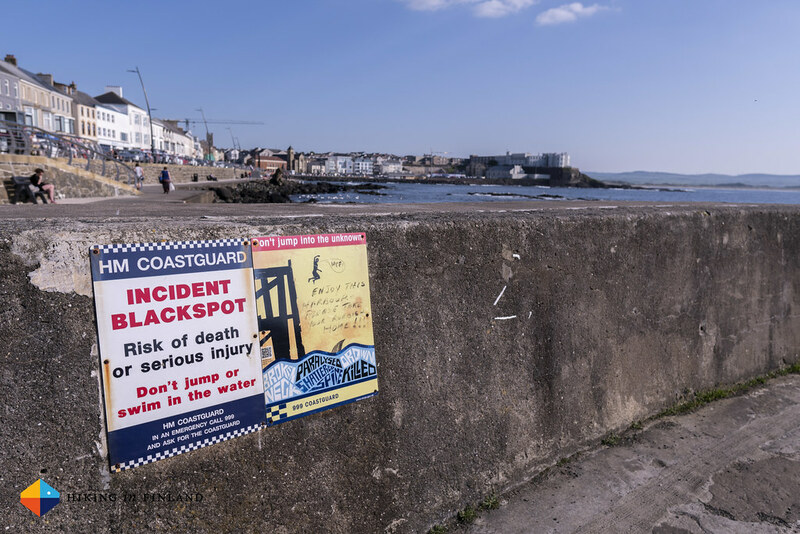 After a long day of travelling I really needed to get moving, so after checking in I walked through Portstewart to the Beach and the start of the hike. 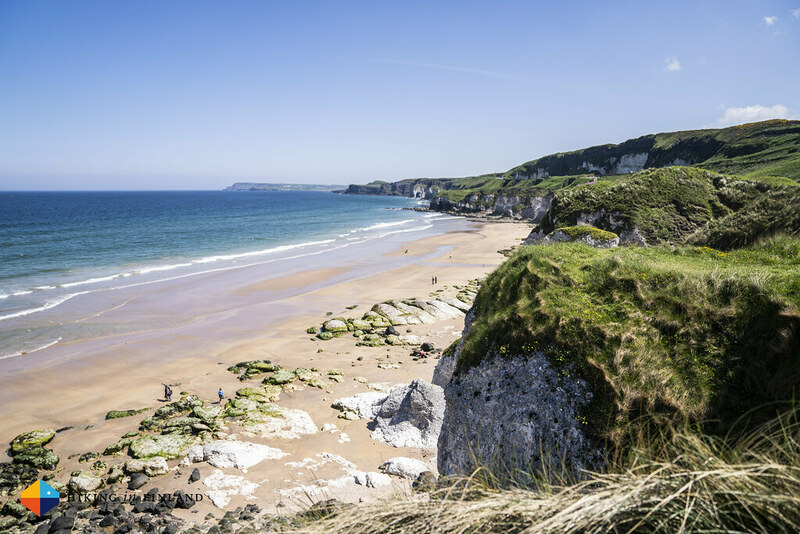 Portstewart Strand is a beautiful, 3 km long golden beach and behind it are some of the biggest Sand Dunes in Northern Ireland. I made a stop at Harry’s Shack, which is a beautifully located Restaurant at the start of the beach. I walked in and enquired about the possibility of a Dinner. After a bit of banter with Donal, the owner, I was granted my wish (the kitchen was almost closed!) and sat down outside. 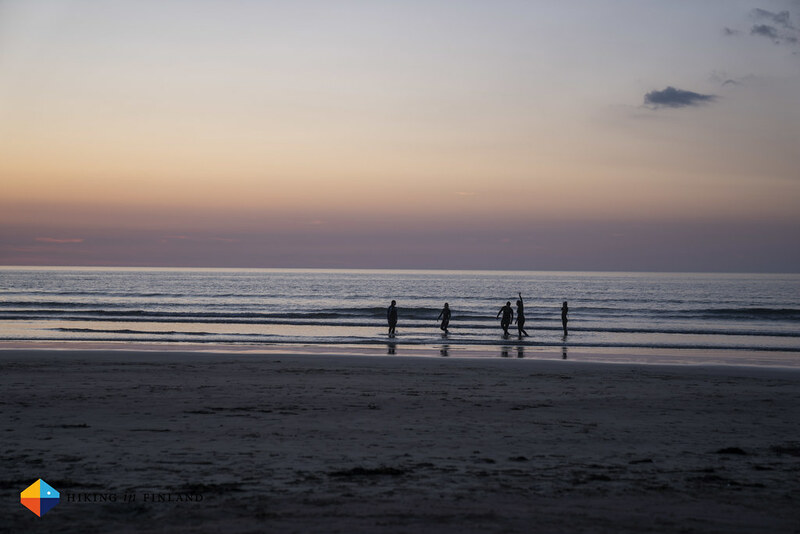 That beach was just beautiful, and the laughter and screams of kids enjoying the water echoed over the sand till the terrace where I was drinking my cold, local beer. 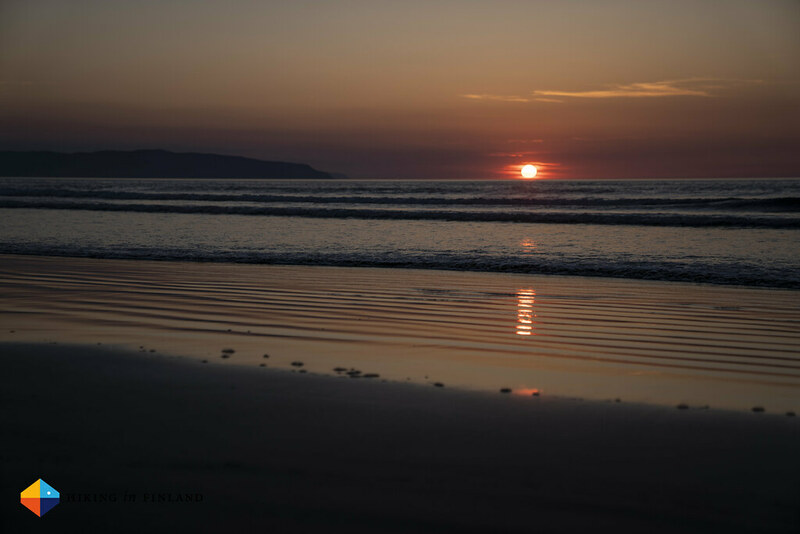 After a fabulous Dinner I thanked Donal and the staff at the Shack for their hospitality, and headed back towards the beach - the sun was setting, and I’m always up for watching the sun set into the ocean. 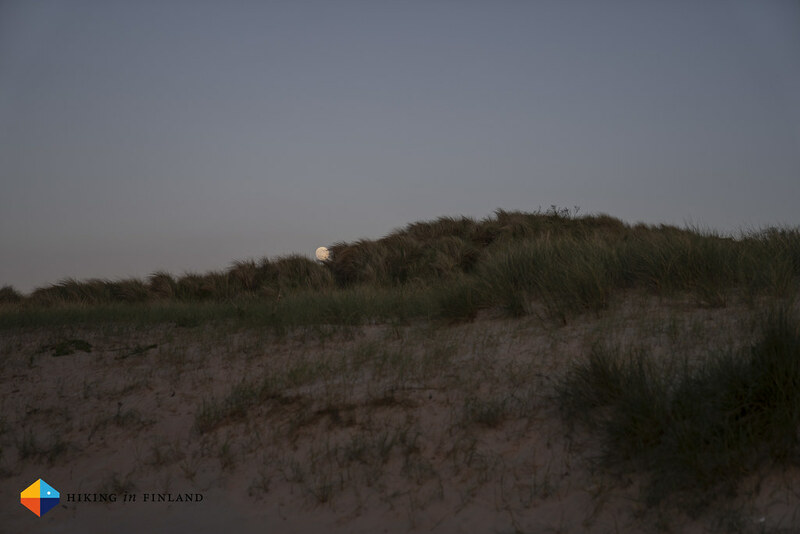 Where there’s a sun, there’s often also a moon, and as I turned around the almost full moon was rising behind the dunes. Perfection. During the gorgeous Dusk light I hiked back to the B&B, making too many photo stops along the way. 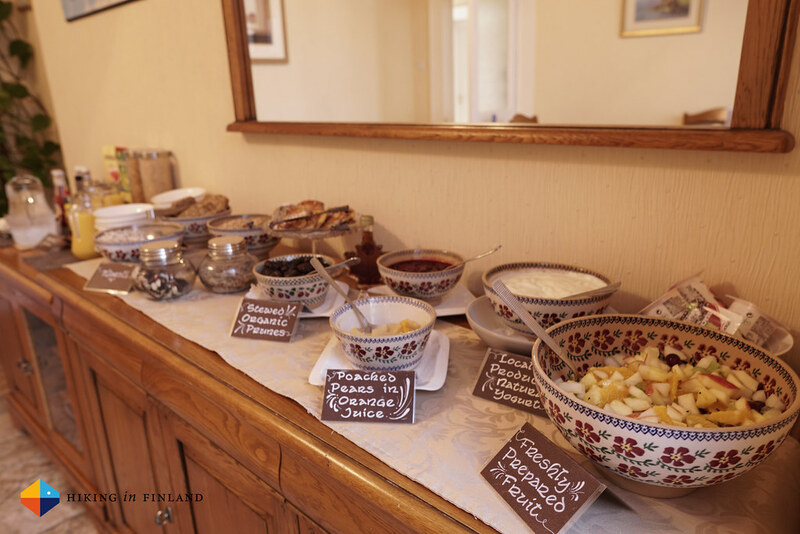 The next morning started with a delicious breakfast. 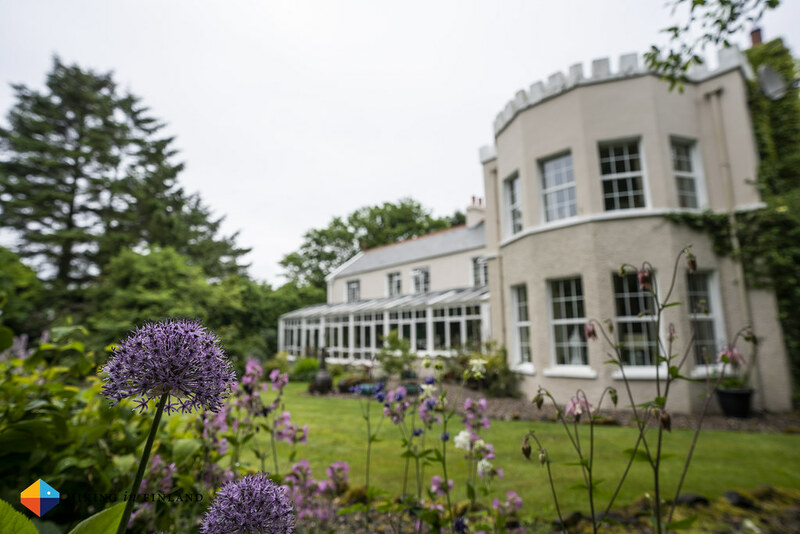 The Cul Erg B&B is known for it outstanding offerings in the morning, and the praise I read online was spot on. 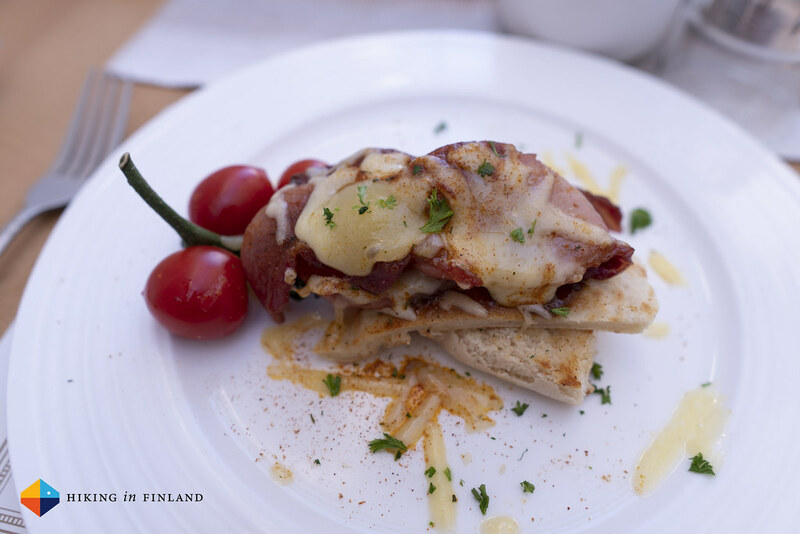 Hikers will enjoy the many different options, this breakfast had me powered for the whole day - I didn’t eat another bite till Dinner at 19 o’clock that evening! Time to hike. Out the door, left and then along the coast towards the Golf grounds. 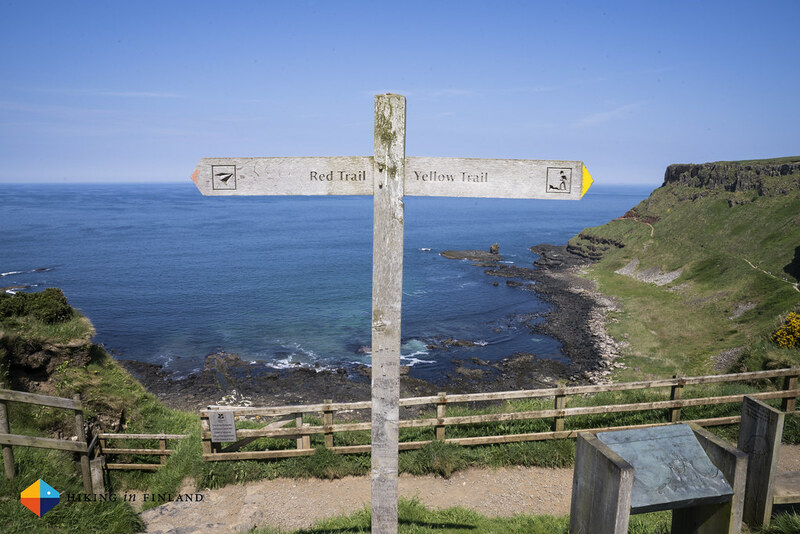 The Causeway Coast Way is very well way-marked here, and you hike all the time on the left of the Golf course, next to the sea, towards the next town. 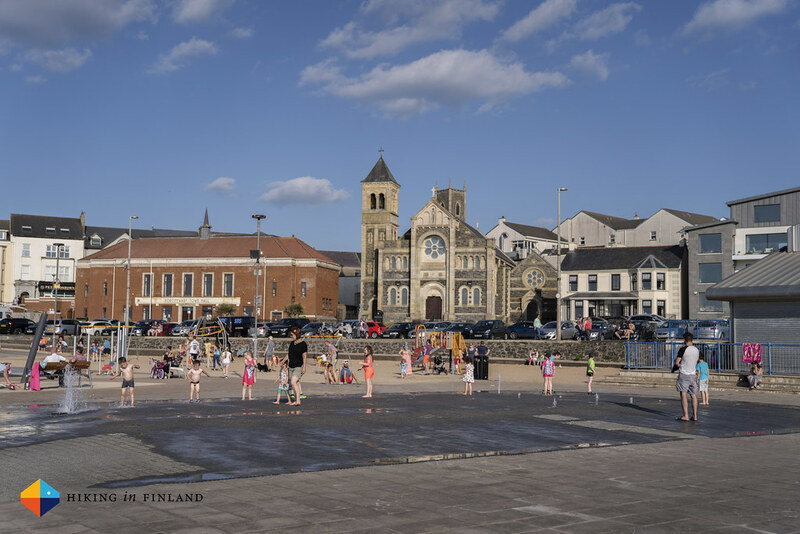 After 1,5 hours I reached Portrush, a popular little town. Coming from the West I didn’t get why it was popular, but once I passed the harbour and walked up to Ramore Head I could see why. Ramore Head is a land tongue which gives great views out the the West and County Donegal as well the East and pretty much the complete trail which lay before me. It was nearing noon, the sun was shining down on me with 26°C and I was in need of more water - and a coffee. The Arcadia Beach Café is situated next to the trail, and has a super-good Kale Smoothie and Cappuccino. They also refilled my water bottle without a problem, and it was nice to sit inside in the shade for a while. 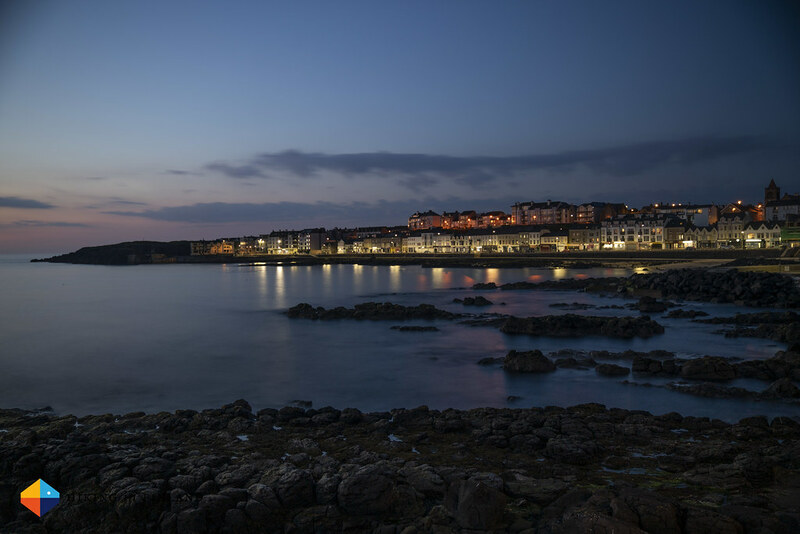 I hiked close to the water along the Portrush East Strand, which felt like it never did want to end. I also felt like I should drop my pack, shed my clothes and take a swim - but then I made the crucial mistake of going so ultralight that I didn’t pack a swim shorts. Big mistake! 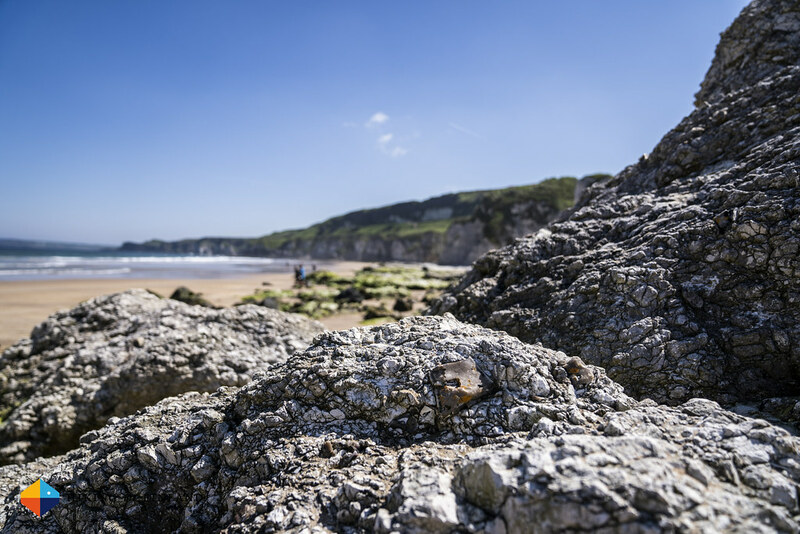 As I reached White Rocks at the End of the East Strand I needed some shade, and happily one of the large, white limestone pillars offered me a place to cool down. The white cliffs were beautiful, and you could also hike and swim at the base of them, but I had to much electronics with me, which don’t like water so much. 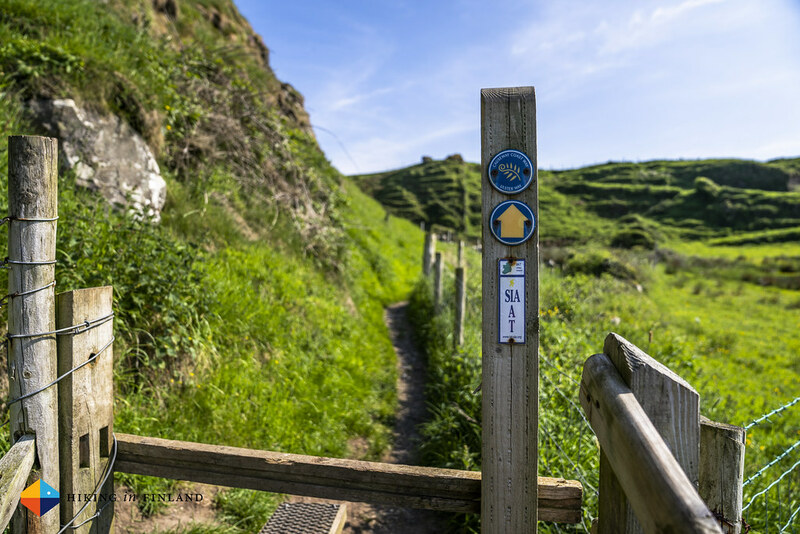 Happily there is an equally outstanding Cliff path which takes one along the top of the cliffs and onwards towards Dunluce Castle and Portballintrae. I thus opted for the Cliff path after exploring the cliffs a wee bit from underneath, and was not disappointed by hiking on top - those views! 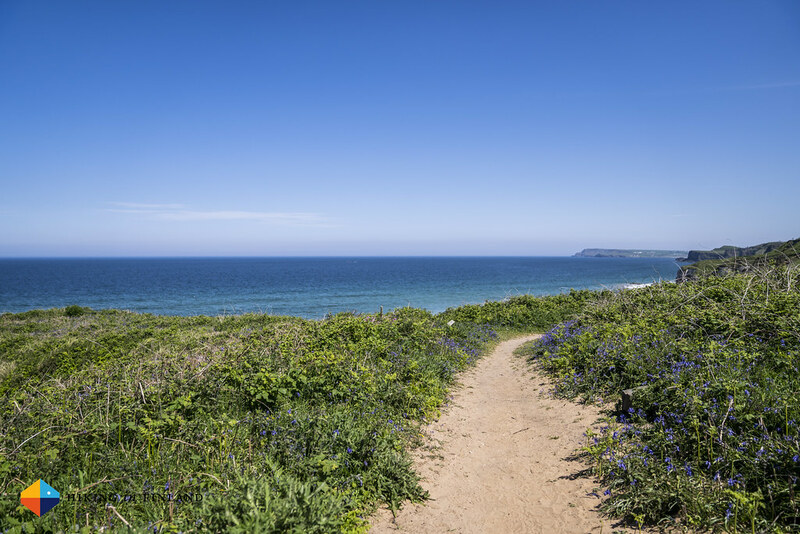 The sandy Cliff path was framed by wild flowers on both sides, and a fresh breeze helped to keep me cool. 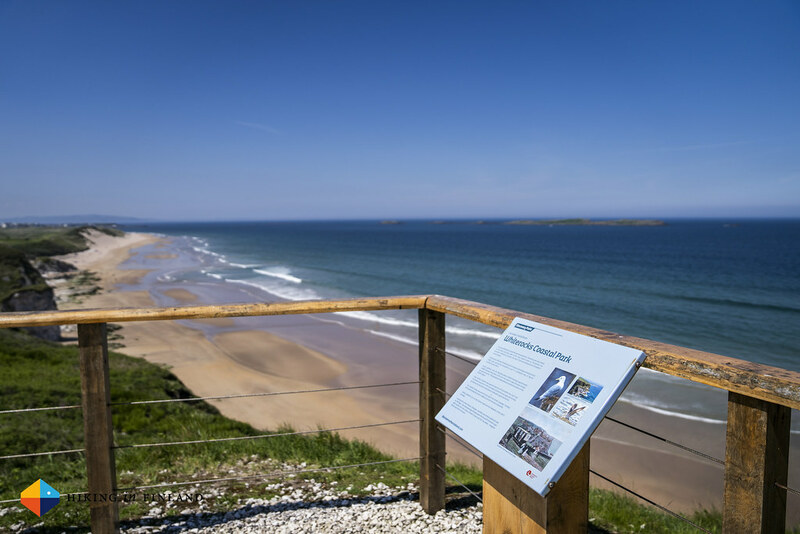 I reached the sidewalk along the A2 and took a look back over the White Rocks and Portrush East Strand, and felt happy. 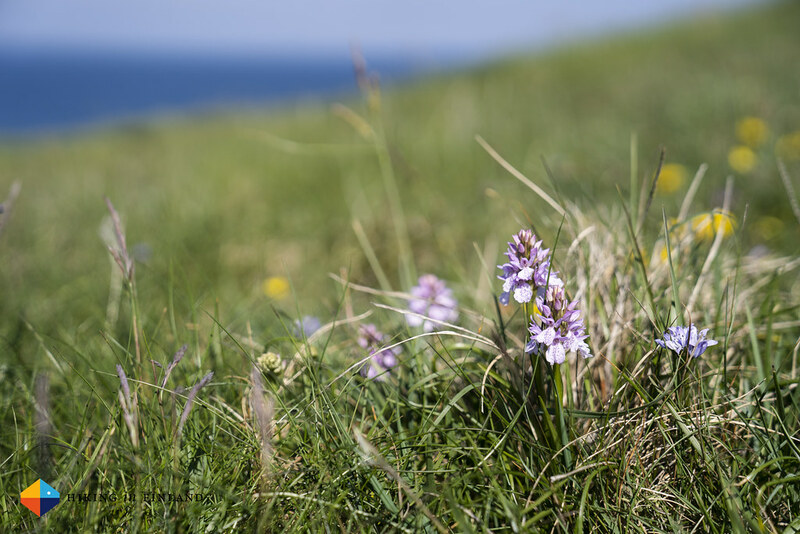 Traffic on this Tuesday afternoon wasn’t bad, and the views down towards the sea and the white limestone cliffs were beautiful indeed. After a while I reached Dunluce Castle, which I decided to skip, and hiked on towards Portballintrae. By now the heat was almost unbearable. I had drunk my 1 l of water already since leaving the Café in Portrush, and it was still a while till the next town. 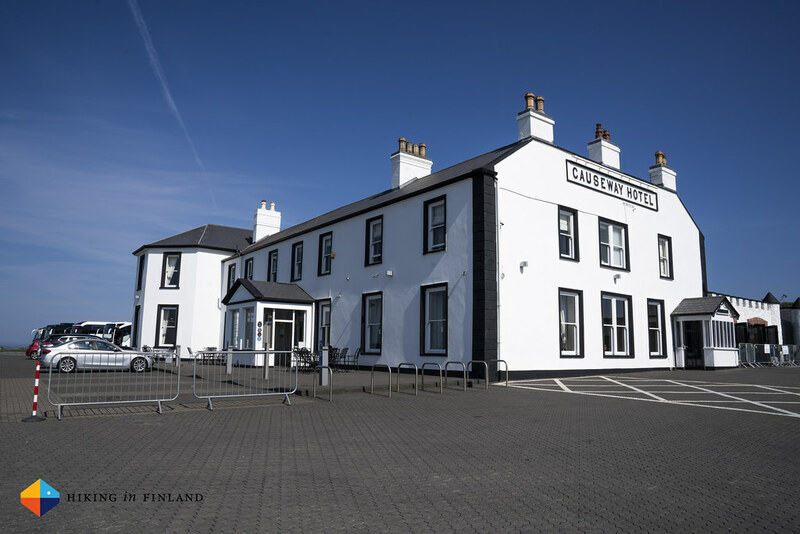 There was also no shade - something that I really felt on my feet (I was wearing my ❤️ Luna Sandals OSO Flaco) so as I arrived in Portballintrae I decided to hop on the Bus to the Bushmills Distillery. Hiding in the shade I waited for my ride, and sitting a bit later in the cool bus I was happy about my decision: The 3 km walk to Bushmills would have been fully in the hot afternoon sun. 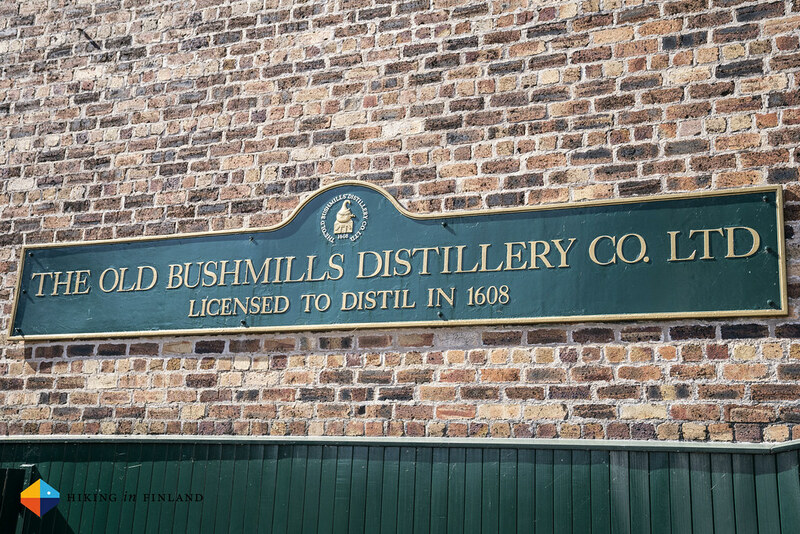 I walked into the Bushmills Distillery and took part in a Tour of the distillery. 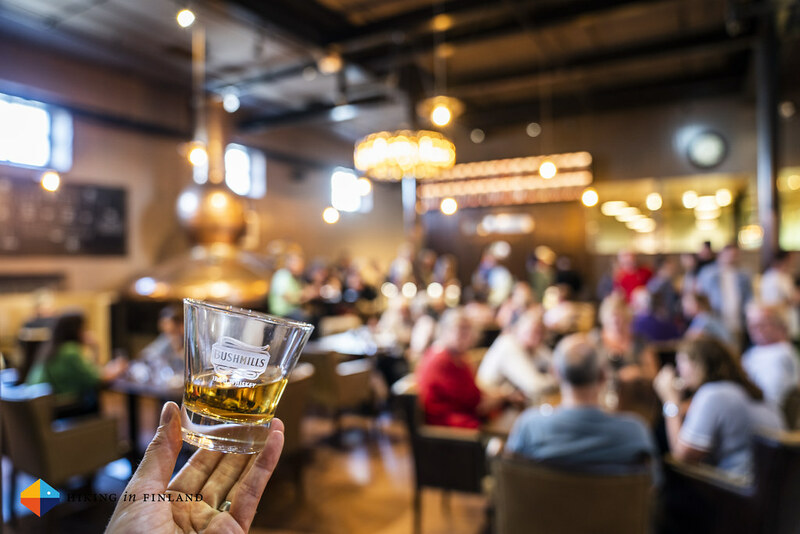 If you’re into Irish Whiskey and have never been to a distillery the tour is well worth a visit, and if you’re a seasoned Whiskey Connoisseur then you’ll appreciate the dram or two for tasting at the end of the tour! 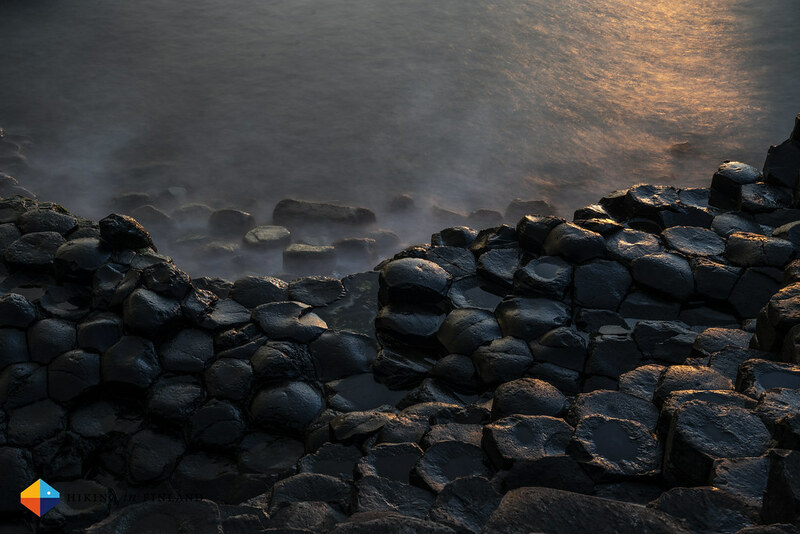 I really liked the visit & the whiskey, but still needed to go to the Giant’s Causeway. A look on the map suggested walking along the small road (getting back on the trail would have involved a detour) so I opted again for the Bus. 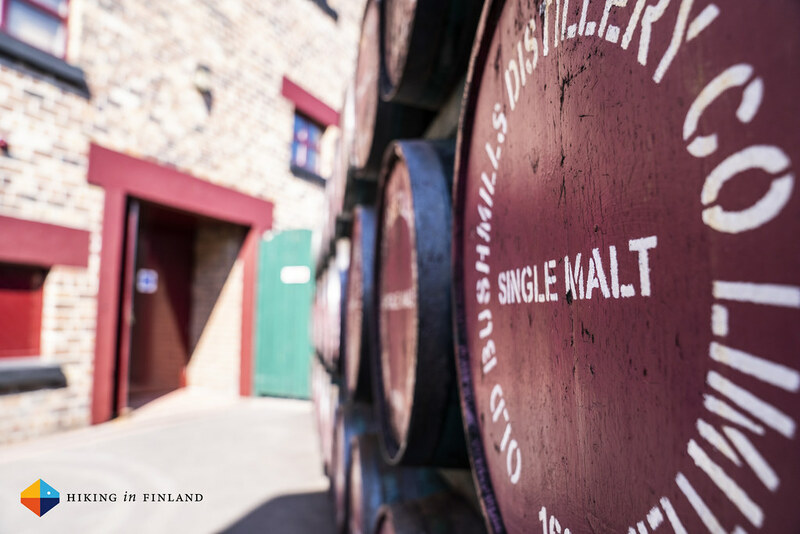 However, with 30 minutes time till it went I decided to explore the little town of Bushmills - which was a good idea! 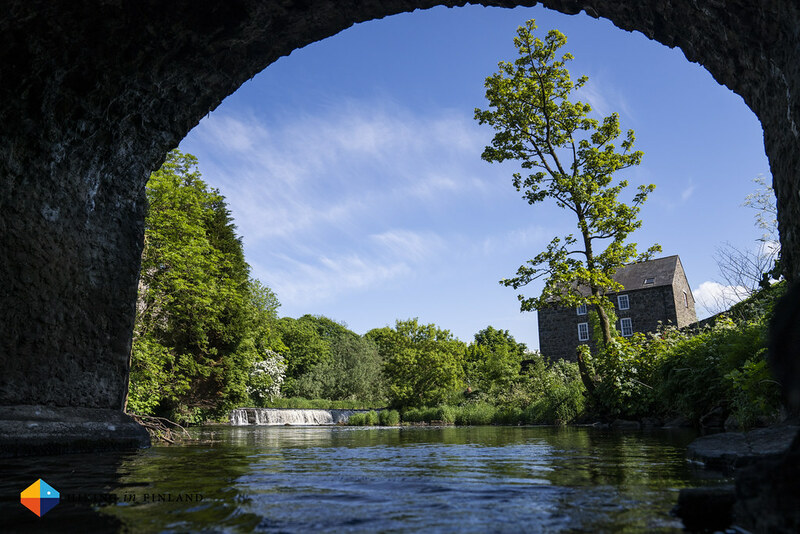 There’s an old mill and weir next to the beautiful old stone bridge, which is where I took the next image. Then I hopped on the bus and five minutes later got out at the Causeway Hotel. 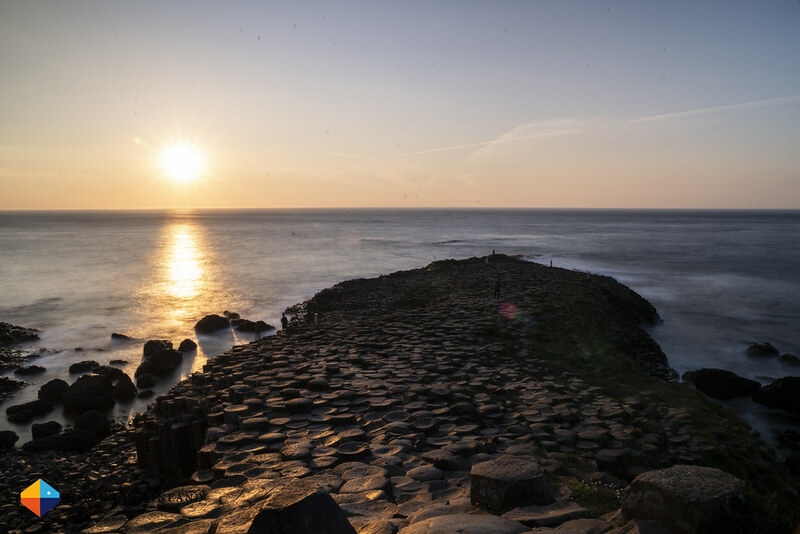 I first I went in to the Giant’s Causeway Visitor Centre and inquired if I could get to the Giant’s Causeway later in the evening, for sunset. 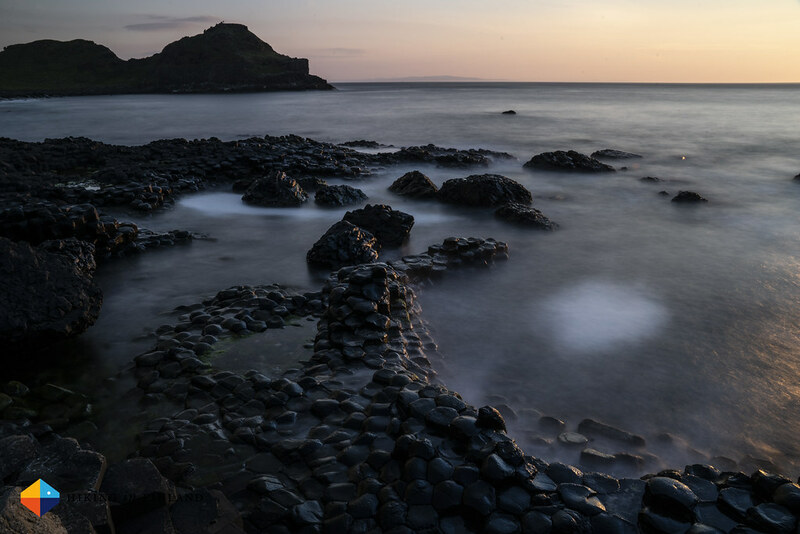 To my surprise the visit to the Giant’s Causeway is completely free and yes, you can visit it at any time of the day or night. With that knowledge I checked in and was happy to have a long, cold shower to get rid of the grime which had collected on my sandal-clad feet. With clean feet and clean clothes I headed for an early Dinner, as I didn’t want to miss the sunset. I went to bed late, and still was considering getting up at 4 o’clock to go photograph the sunrise. I didn’t. I did get up early-ish, though, had a breakfast of pancakes (because Pancakes ❤️) and then went to visit the Giant’s Causeway Visitor centre. Hikers pay £10 entry (that’s with a discount) and you get a lot of background info on the Giant’s Causeway, from how it got to be, how FinnMcCool built it, and much more. 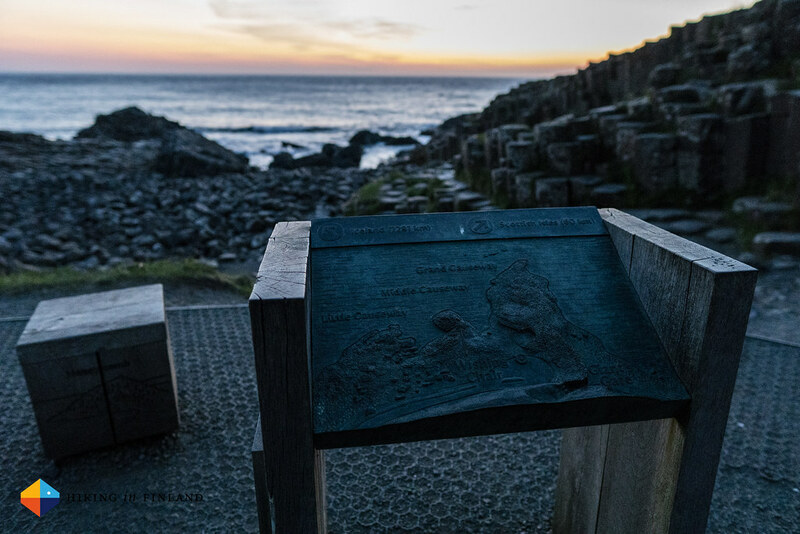 You can loan an Audio Guide (included in the price) when you walk down to the Giant’s Causeway, which gives you more info on it (I didn’t as I couldn’t return it). 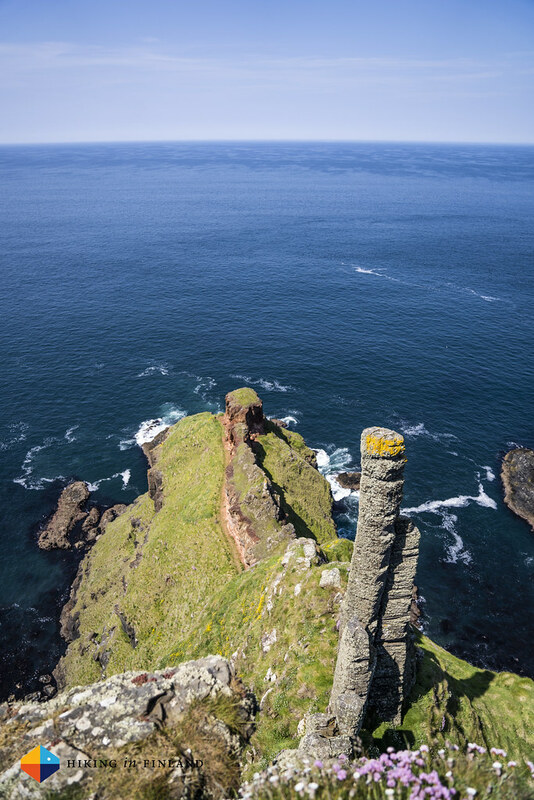 By 10 o’clock I put my pack back on my shoulders and strolled down, took another photo, and continued on the Cliff path towards Dunseverick Castle. 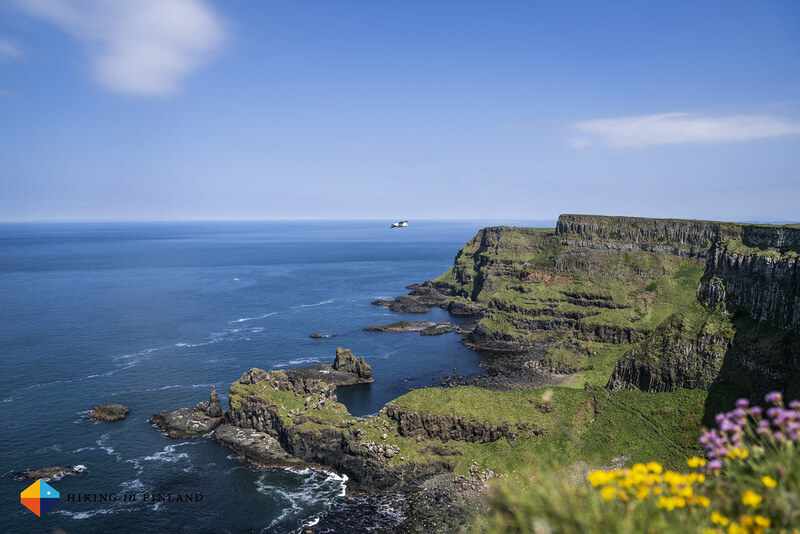 The yellow Cliff Trail takes you along on the top of the Cliff, and from here you get some of the finest views along the whole Causeway Coast Way. 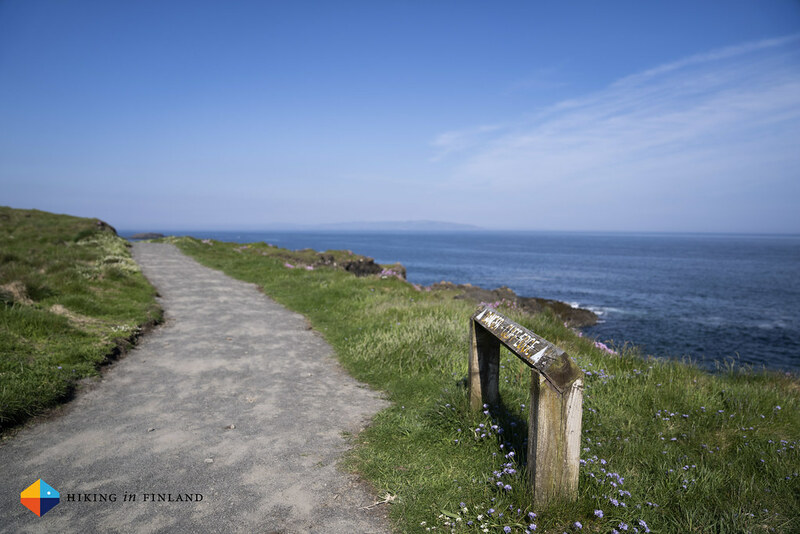 I could see back towards Portstewart, the beginning, and towards Rathlin Island, Ballycastle and even further away in the distance was Scotland. Add in that after the hundreds of people at the Giant’s Causeway (it gets about 1 million visitors a year, with the most during the summer season - the day I was there there were 5.000 people visiting!) up here on the cliff path I met about a dozen of people. On the whole 8 km stretch, I met around 12 people. 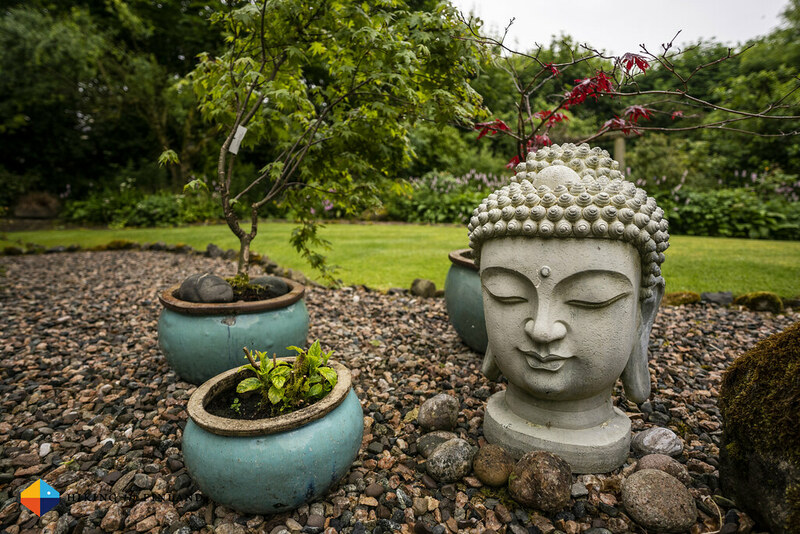 Given the absolutely AMAZING views this riddles me a bit, but I guess it also shows that if you leave the honey pot behind you will find peace & tranquility. 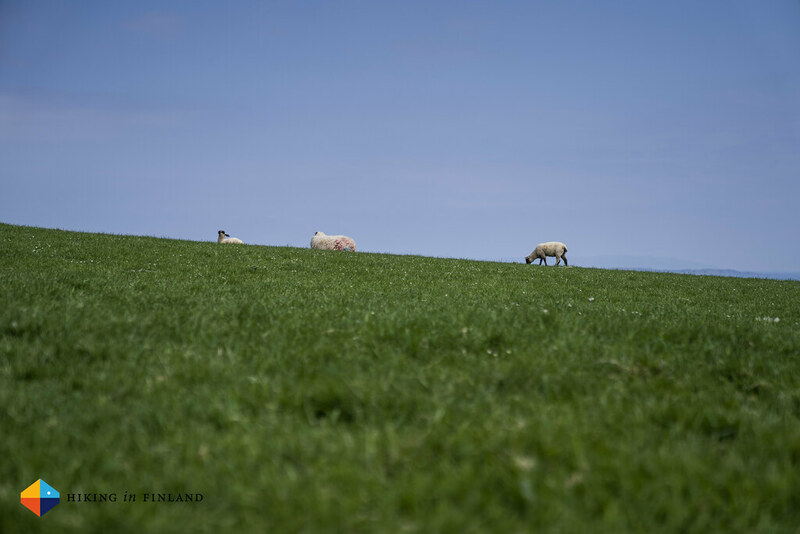 The cliff trail is wide and hiking towards Ballycastle you’ll have the Sea on your left, while green fields, sometimes with sheep, will be on your right. 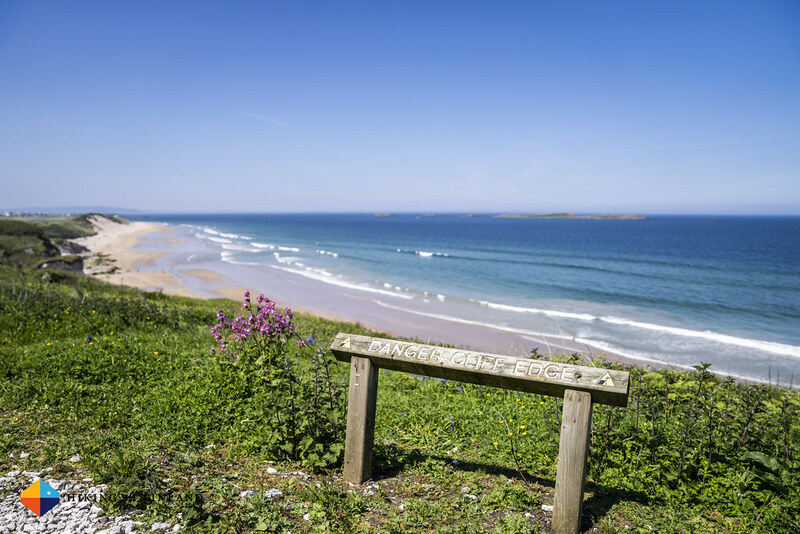 Here and there are benches for you to take a rest and enjoy the view. I also spotted the Port Moon Bothy, which is a hut for sea kayakers (there’s no path down to it) and which looked great from up on top. 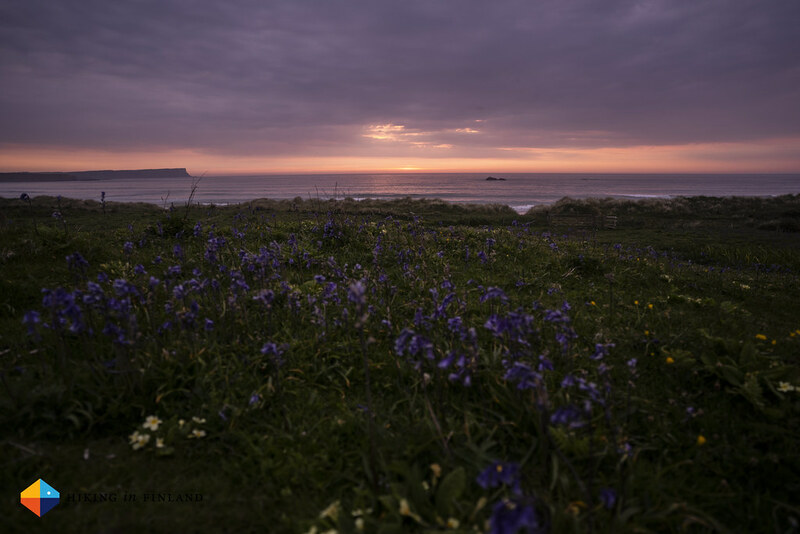 I imagine exploring the coast via kayak and spending the night in the Bothy is also very memorable - maybe the next time! 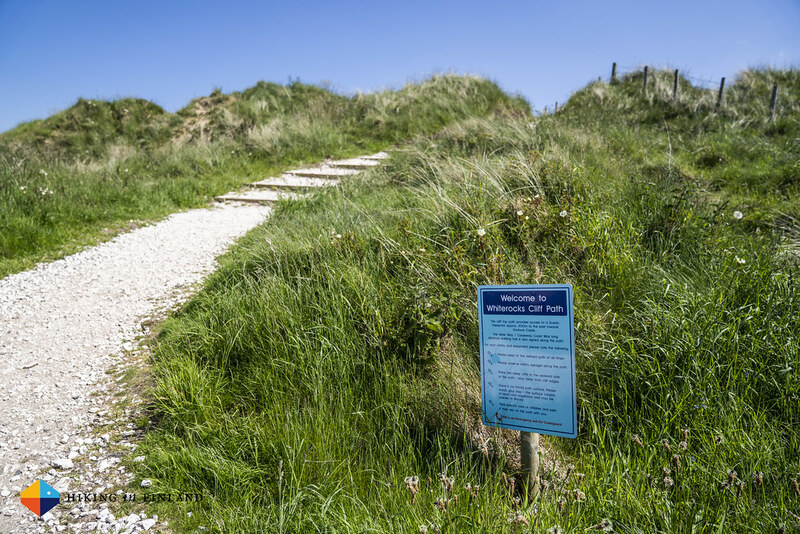 The Cliff Trail goes along the Dunseverick Castle, which really is just a wee ruin - see it in the video. 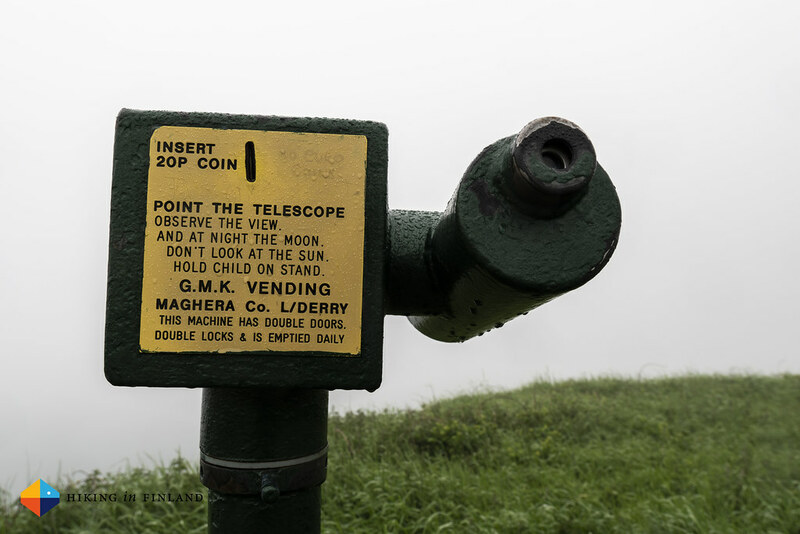 Here I met a French backpacker who was taking in the view, and we chatted a bit - he was exploring Ireland on foot, hitch hiking and taking the Bus, which sounded like a great way to explore Ireland. 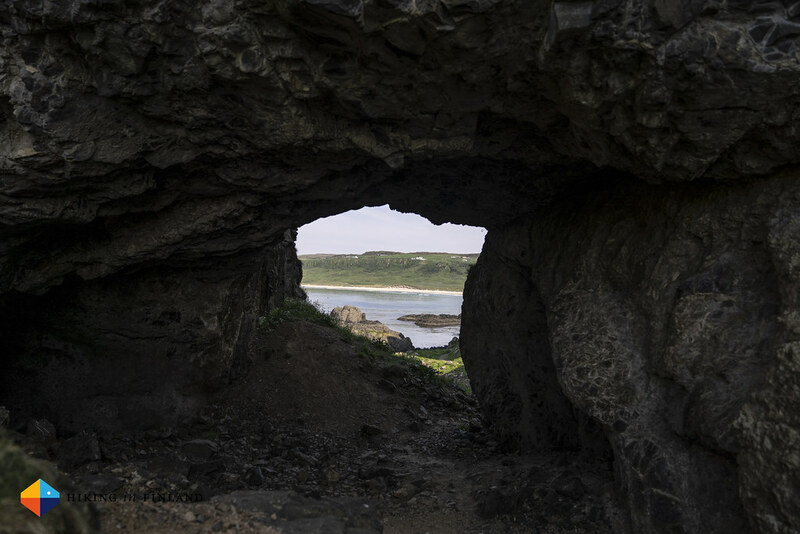 I wished him well & continued on the trail, which weaved along the shore, through fields, a cave, a pebble beach and then I arrived at White Park Bay - my destination for the day. 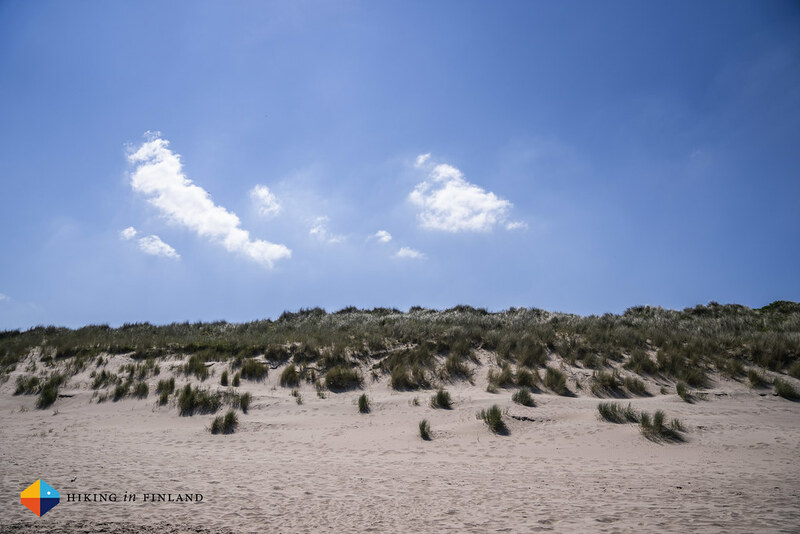 White Park Bay is a long beach which only has three entries - and none of them are easy. Which explains that despite the gorgeous weather there were only few people on the beach - later, as I would hike it back during dusk, it would be completely deserted. I hiked up to the Whitepark House B&B, and was surprised about the time - it was past 17 o’clock. 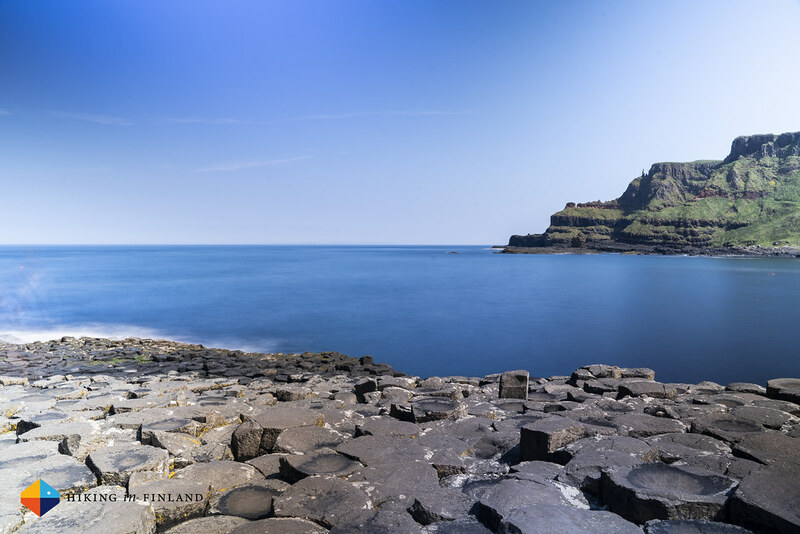 I was just a 15 km walk, but with all my photo and video breaks it took me five hours to get here from the Giant’s Causeway. I didn’t mind, though - I had a fabulous day! Bob welcomed me with tea and we had a we chat, before I jumped under the shower and got a lift to Ballintoy from him. 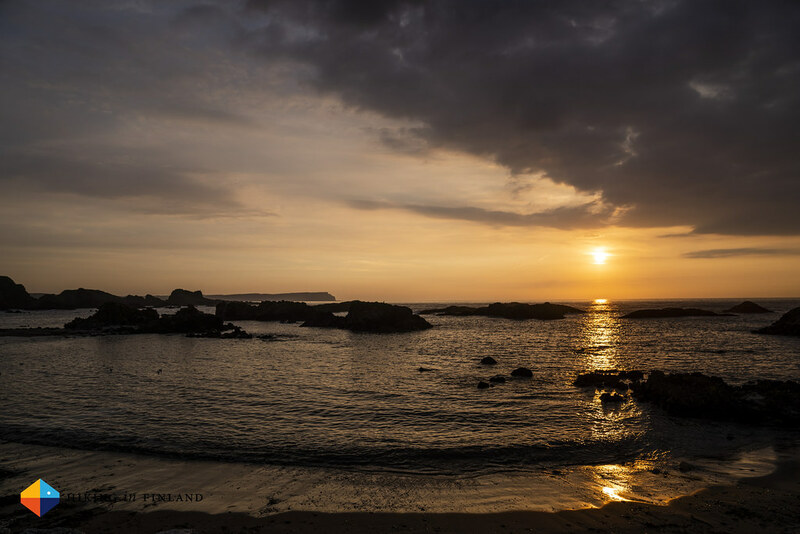 I had Dinner at the Fullerton Arms and then strolled down towards Ballintoy Harbour. 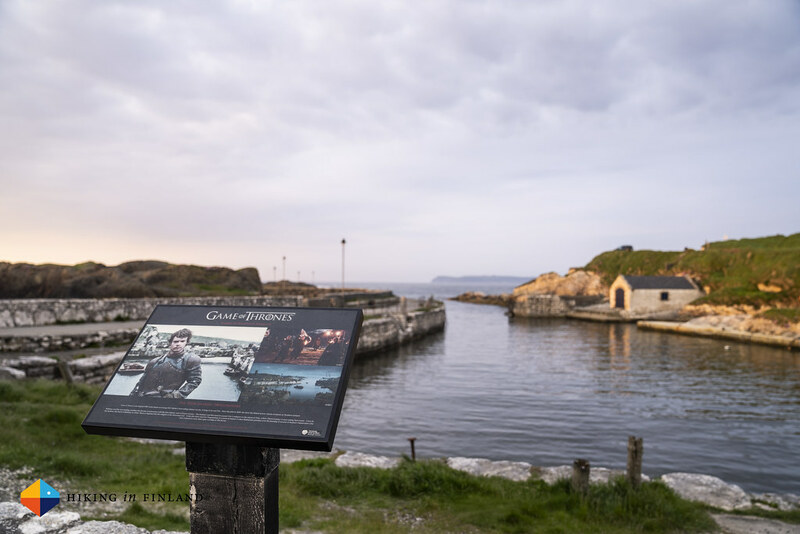 Now if you know me, you probably are aware that my wife and me are huge Game of Thrones fans, and so I of course could not not go visit Ballintoy Harbour - the Causeway Coast Way also goes past it, so you really can’t miss it! Some scenes where shot here, and again I had amazing luck and a very pretty sunset to photograph! 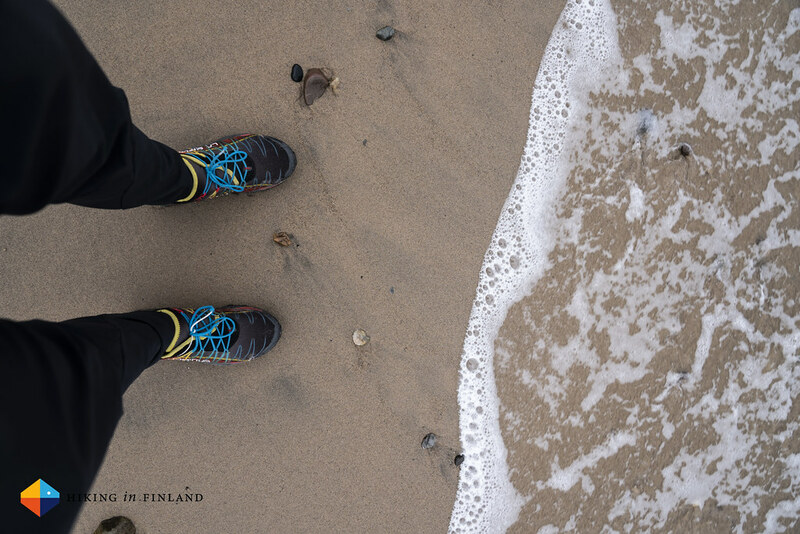 I hiked back towards White Park Bay (including a scramble up the cliff and down as the normal path along the water was under water) and arrived again very late at the B&B. Somehow I didn’t manage to go to sleep early on this trip - I am blaming the fabulous sunsets! The next morning rain drops were covering the window, and the clouds which were moving in the last evening now covered the whole sky and didn’t let me see far. No problem! 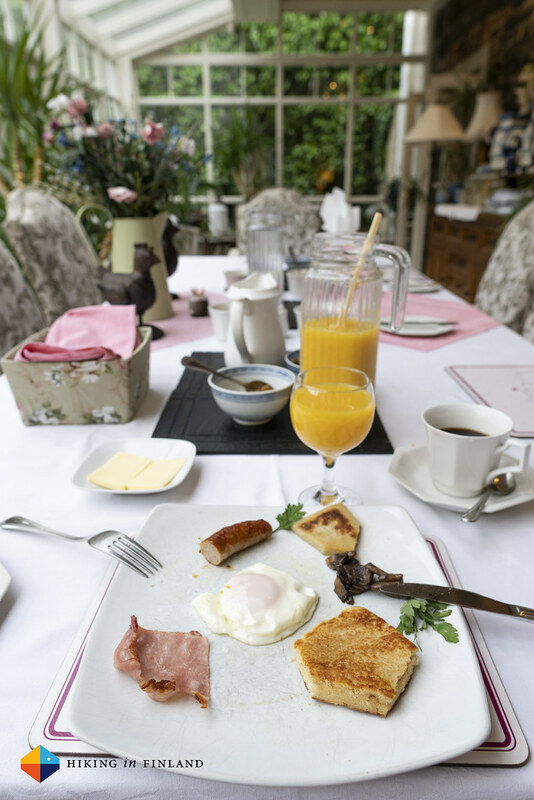 A tasty Irish breakfast at one long table with the other guests - a couple from the USA and a lady from Australia - made for a pleasant start into the day. I really like these long tables where you have to sit together with the other guests, it brings people from different walks of life together and always has been a good experience and makes for great conversations. After breakfast I went out to explore the garden of the B&B, which is absolutely lovely. 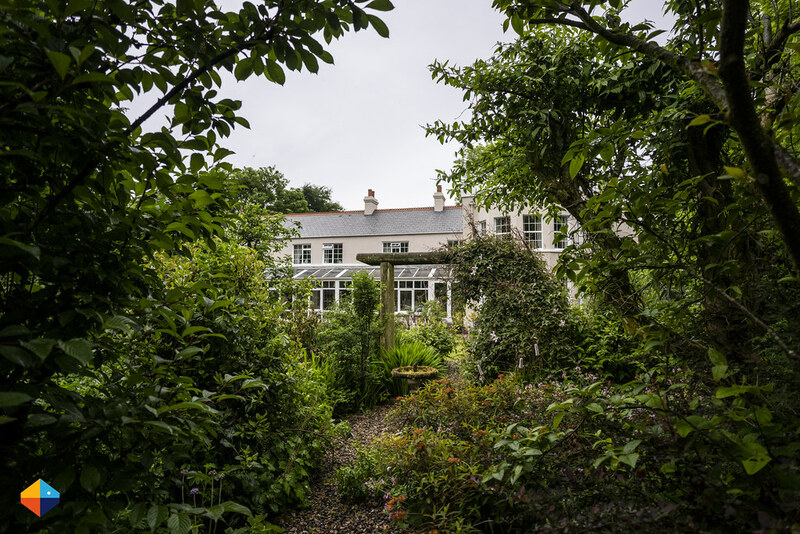 I wanted to become a Gardener or Landscape Architect when I was younger, and visiting a Garden like the one at Whitepark House make me long for that. 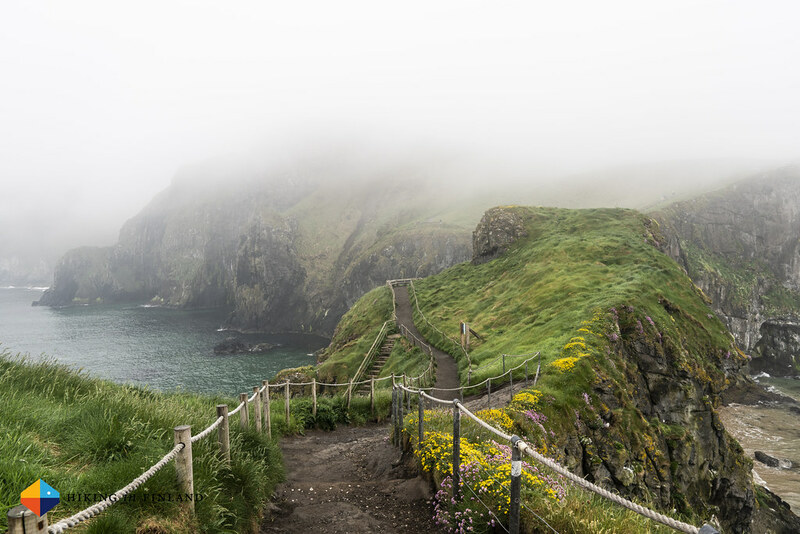 Carrick-A-Rede is the 2nd honey pot along the Causeway Coast Way, mainly because of the Rope Bridge and Larrybane, which also has been a location in Game of Thrones. 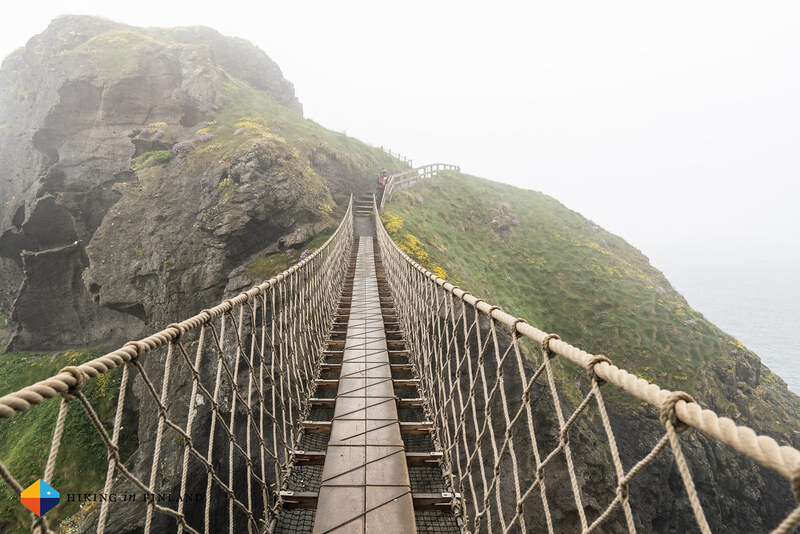 I opted to go see the Rope Bridge. 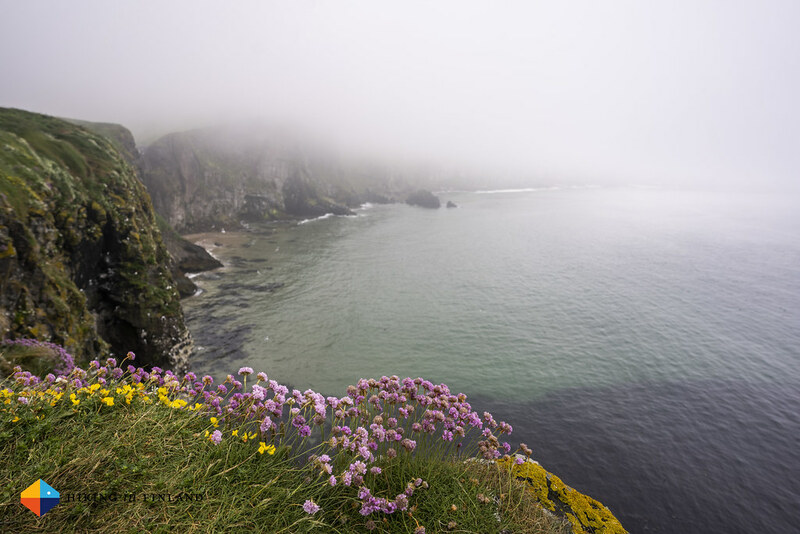 If I would see it, as the cliffs were shrouded in mist. 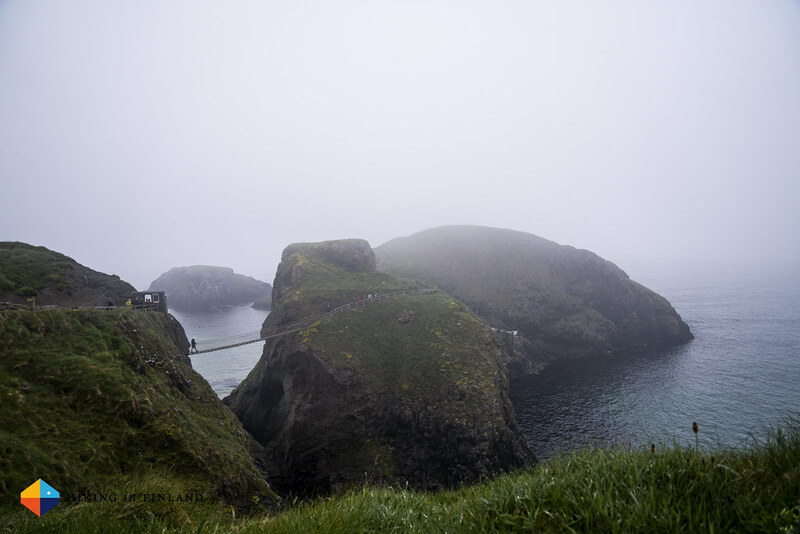 I explored the island, observed the birds and the mist, and then got in line to get back over the rope bridge. As I was hiking back to Ballintoy more and more people were on the path to the rope bridge, despite the not so good weather. 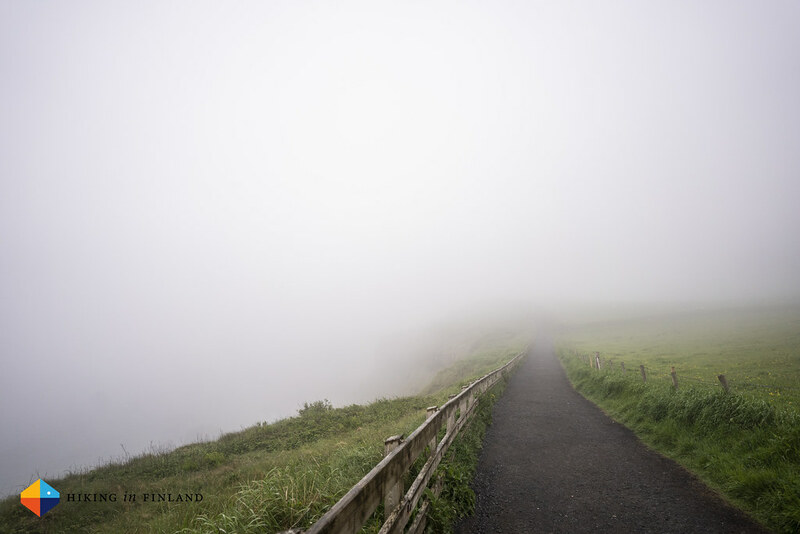 As I hiked up towards the street I was pondering my options: Hike on the busy street, in the rain, to Ballycastle, or hop on the Rambler Bus to Ballycastle. Just as I reached the street the Bus came up the road, and like a reflex my arm went up. I purchased a Rambler Ticket to get to Ballycastle and then to Coleraine. As I was sitting in front of the bus I congratulated me on this reflex move - the narrow street would have been no fun to hike. 10 minutes later I got off the bus at the harbour of Ballycastle, and strolled down to the beach. 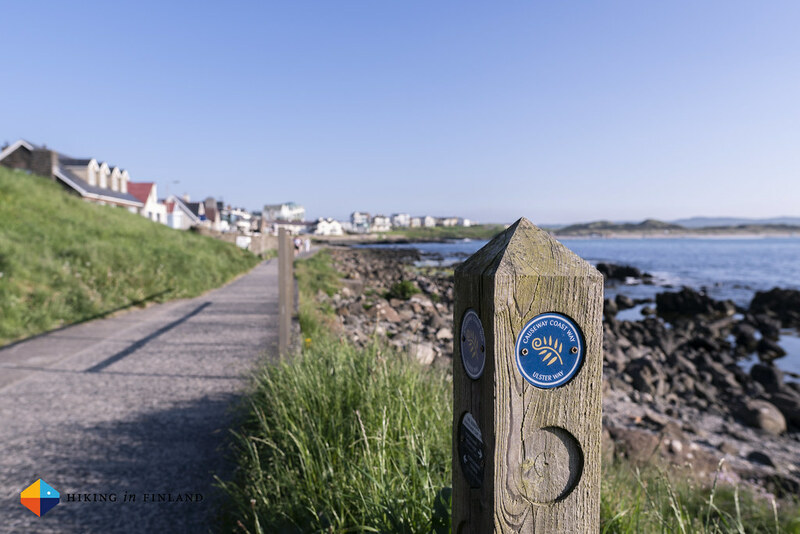 The official end of the Causeway Coast Way hike is up in the village, but for me, I decided, this hike ends here, at the beach in Ballycastle, 50-something kilometres away from the start in Portstewart Strand. It felt odd to be finished - it was early in the day, I hadn’t hiked a whole lot yet, and really wanted to keep on moving. I took out the Drone, captured some stunning footage of the mist rolling in over the town, and then walked back to the bus stop. 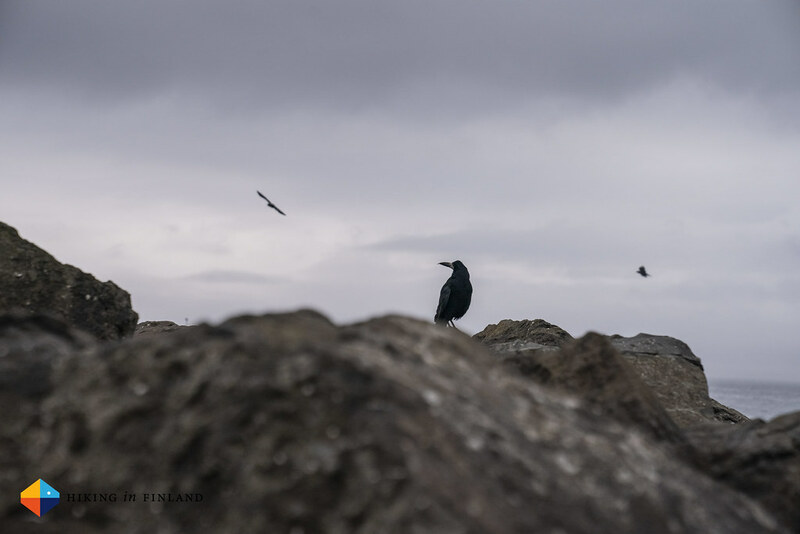 A raven, sitting on the rocks of the quayside, looked at me, and seemed to agree that it’s a shame I had to finish here. 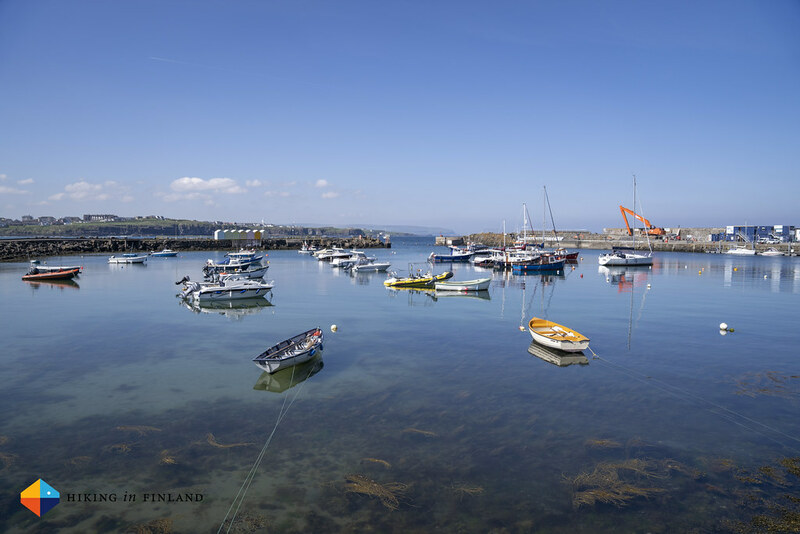 The ferry to Rathlin Island left the harbour and I wished I would have had another day to explore this little island, see the Puffins, and breath in more of this beautiful atmosphere up here in Northern Ireland. The next time! 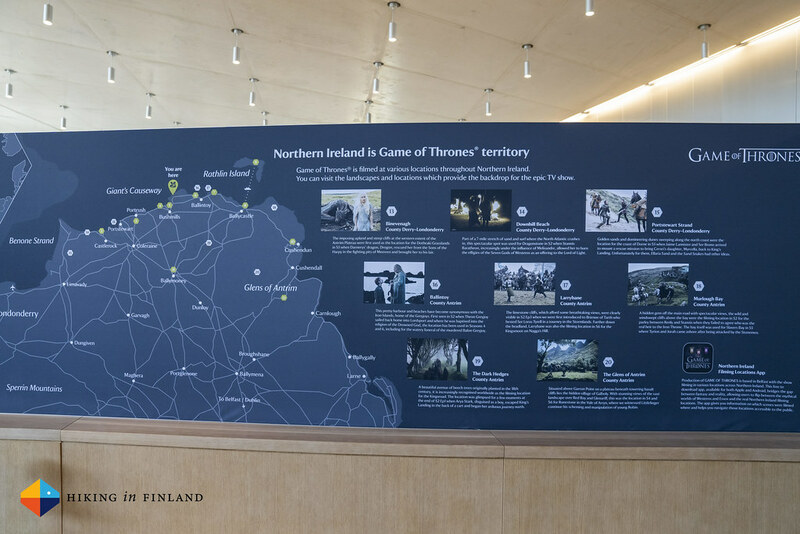 I flew into Dublin and both Finnair and SAS have daily connections into the capital of Ireland, as well to Belfast, the capital of Northern Ireland. 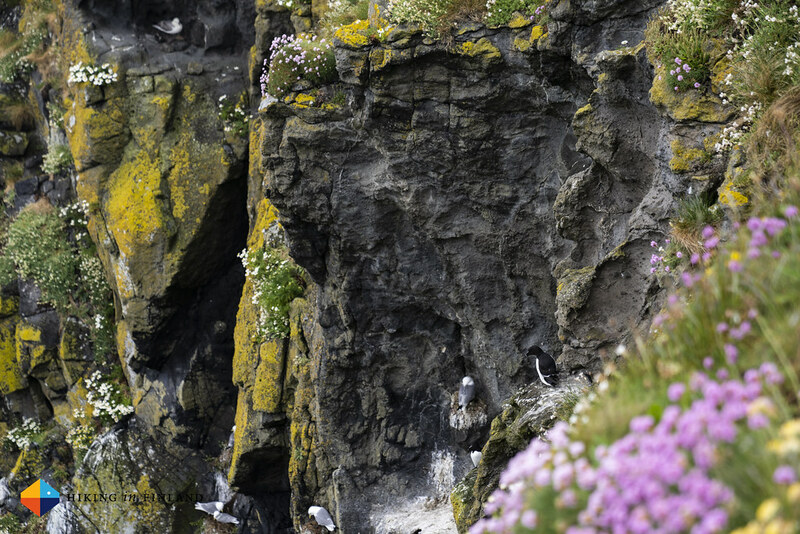 Every major airline flies to Ireland, so it should be easy to find a flight to the green island. As the Aircoach Bus from Dublin Airport to Belfast Central is only £14 and takes two relaxed hours I suggest flying into Dublin, it usually is also cheaper. From Belfast I took the train to Coleraine and from there the Bus to Portstewart. It’s all super easy and I used Translink to plan my journey and check timetables. They run very regularly, even on holidays and Sundays, so getting around is not difficult at all and hence no car is needed. I stayed in Bed & Breakfasts and a Hotel, and ate out every evening. In Portstewart I stayed at the fantastic Cul Erg B&B. Marie and JJ were wonderful hosts and the breakfast was outstanding! I had a single room with a shower and a comfy bed, and it is close to the trail so makes for a logical stop. 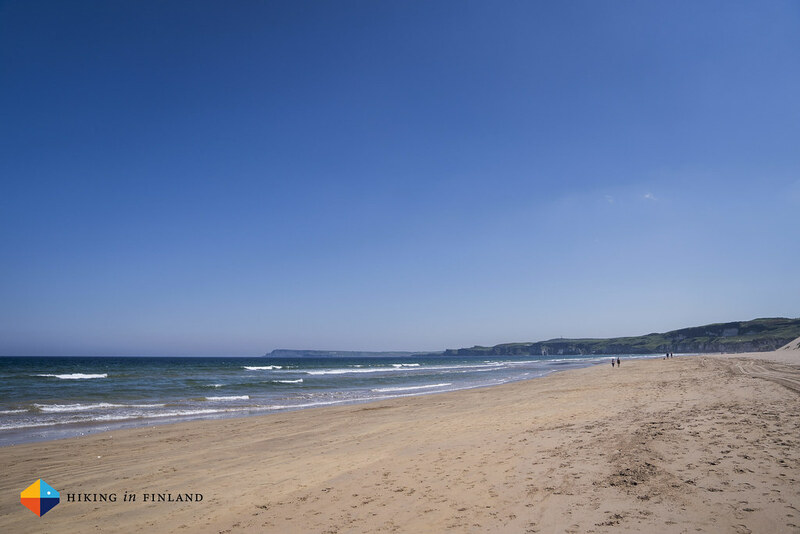 If you arrive like me late in the afternoon after a day of travelling it is a nice to stretch the legs and head to Portstewart Strand, which is a 3 km stroll from the B&B. 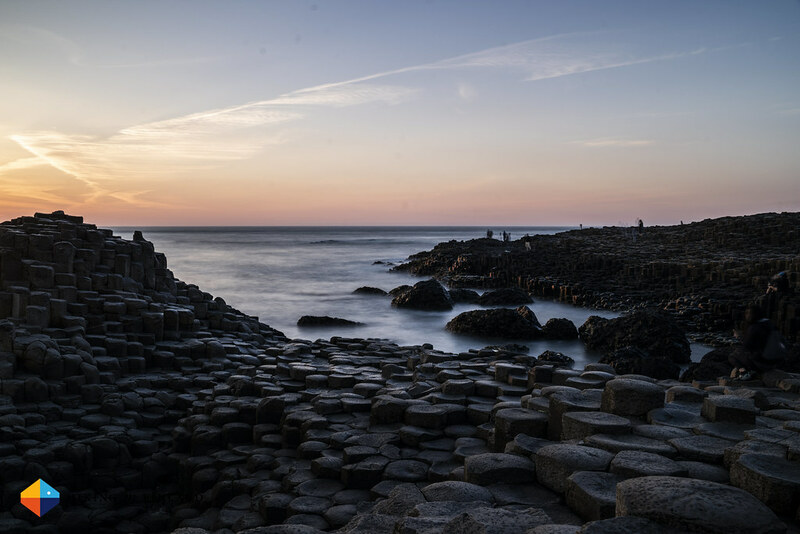 The next night I stayed at the Causeway Hotel, and the name already lets you guess why I stayed here: It’s the closest accommodation to the Giant’s Causeway! The Hotel is run by the National Trust and is very nice - it has this old-time charm and both staff and rooms were excellent. If you stay at the Hotel you also get free entry to the Causeway Visitors Centre. 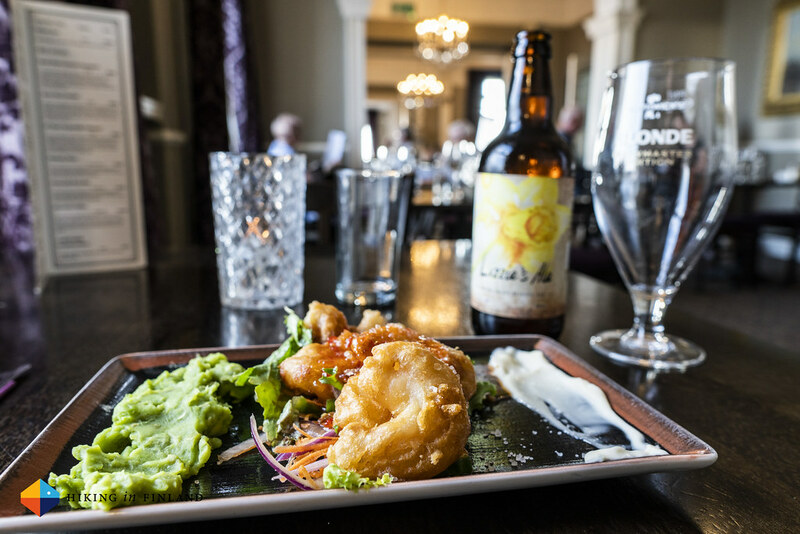 I ate dinner here too, which was very tasty, and they too had a local beer for me to sample! My last night on the trail I spent at the beautiful Whitepark House where Bob was my amazing host. 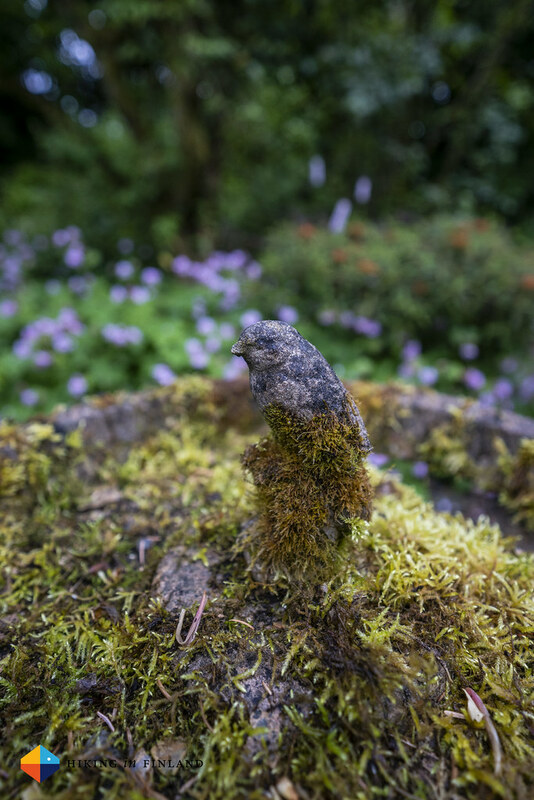 He not only makes an exquisite Irish breakfast, also the house and garden are fantastic and I loved exploring it. Extra points for giving me a ride into town so I could have Dinner and walk back via Ballintoy Harbour and the beach! In my experience the wild camping laws in Ireland are “complicated” and it is easier to stay at a B&B and eat at a Pub or Restaurant than carry the camping gear & food. If you prefer sleeping outdoors - I have seen people camp in little bays and on beaches, so if you practice a Leave No Trace principle, pitch late and leave early I imagine you’re fine. There certainly are a lot of nice spots to camp - the only problem will be fresh water, which you probably need to get along the towns in a Café or Shop. 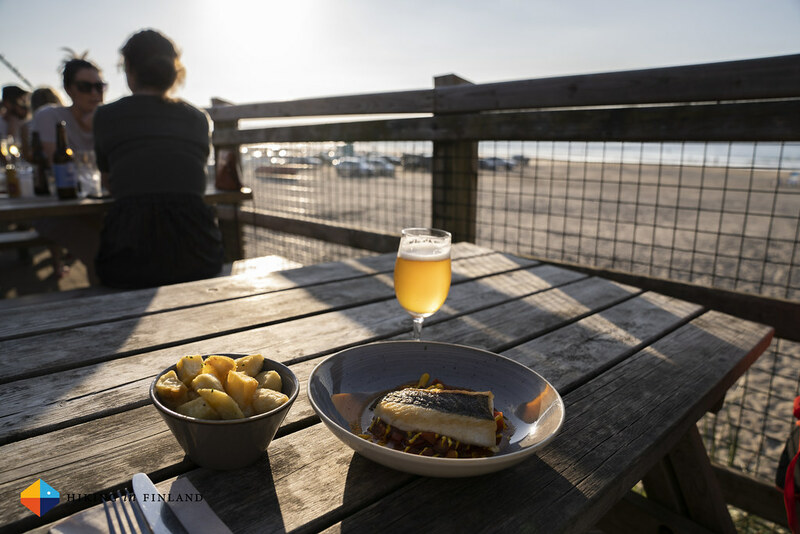 In Portstewart I ate at Harry’s Shack and had a local beer from a small local Portstewart brewery. 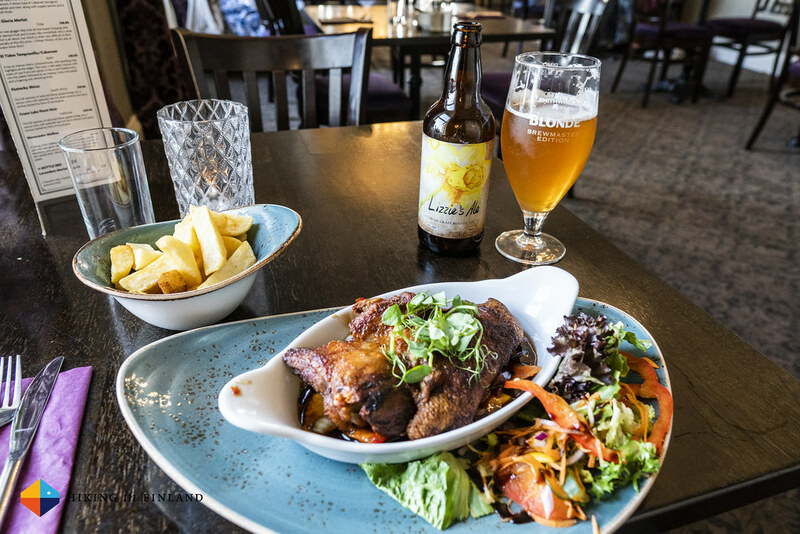 It was outstanding - Service, food, beer. 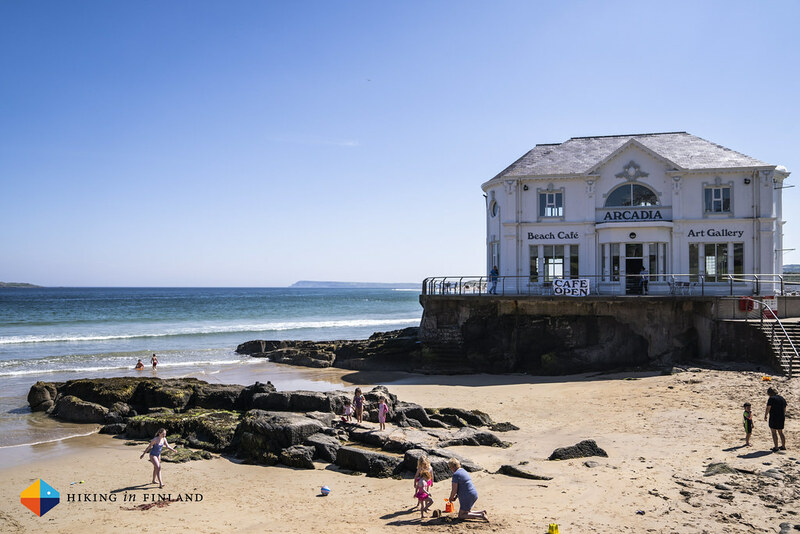 If you start your hike at Portstewart Strand, you definitely should have lunch or dinner here! As I ended my thru-hike in Ballycastle I took the Rambler Bus back to Coleraine, from where I took the train back to Belfast and Dublin. The Rambler drives once every hour and pretty much covers the whole hike like I walked it, which was nice to see the places again from the street. There’s also a Bus to Ballymena from where you can get faster to Belfast. Use the Translink App to get the best options, it’s really a well made app (and is free). 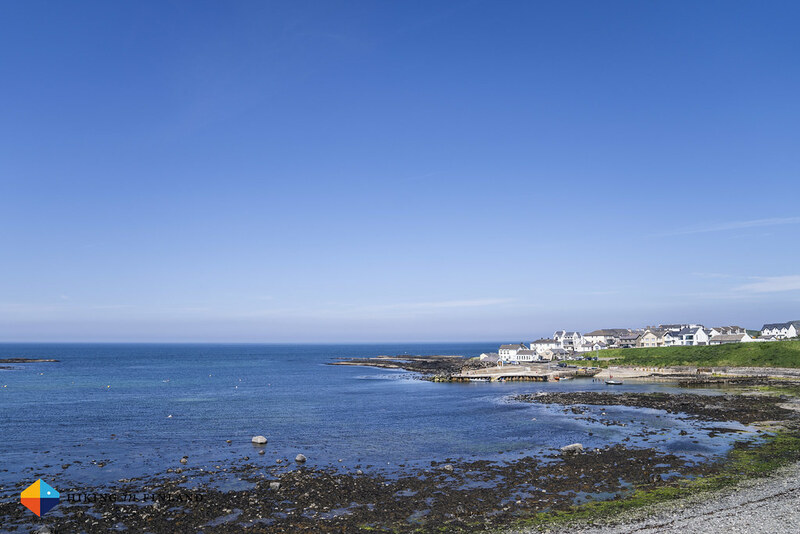 If you’re less in a hurry to get home than me, spend another night in Ballycastle. 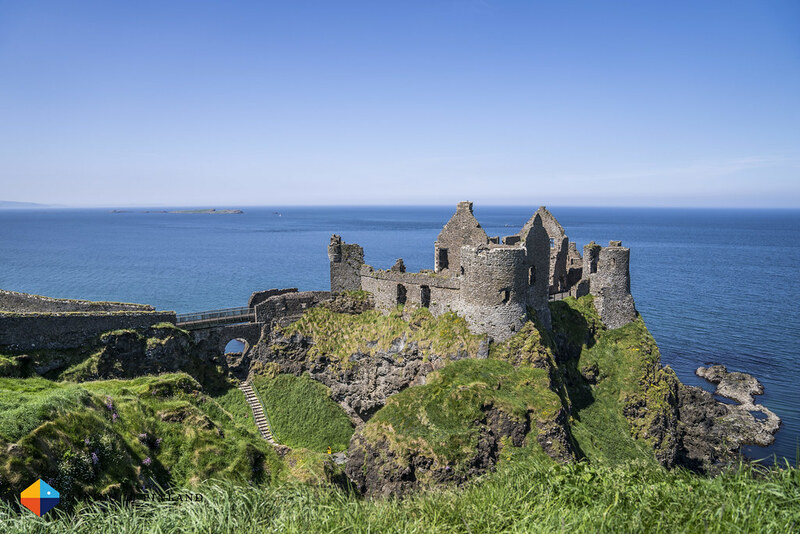 There’s Kinbane Castle close by (and along the trail, so worth a detour) and from Ballycastle you can take the ferry to Rathlin Island, where you can see Puffins! The hike is beautiful from start to finish (expect maybe the bit to Ballycastle where you hike on the road, but you can take the Bus!) and there’s not a lot of hikers on it - day hikers, yes, but few people who hike it from Portstewart to Ballycastle or the other way around. The trails are very well marked and you can’t get lost, there’s also free map printouts on the Walk NI page if you feel you need them (I saved them in an open tab on the phone and a had a look at it once in a while, but you’re pretty much always hike next to the sea - if you can’t see the sea anymore, you likely took a wrong turn or are sitting in an Irish Pub). 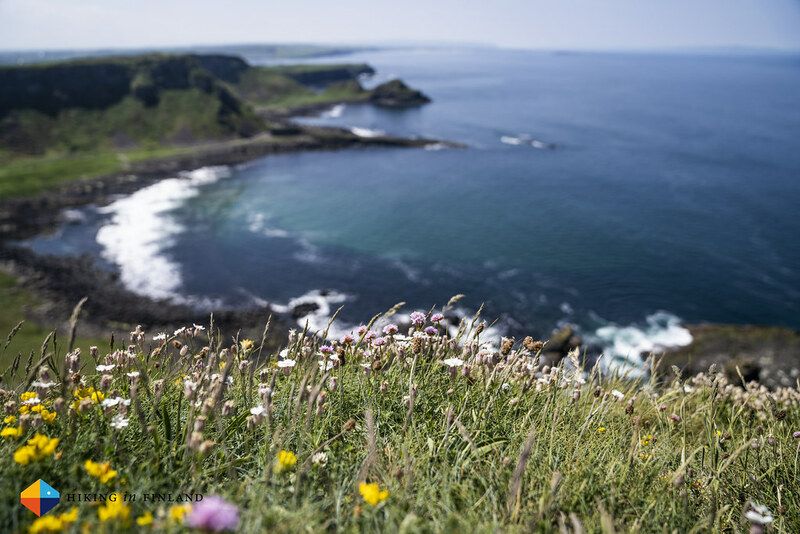 You could hike the Causeway Coast Way in anything from one very long day where you miss out on all the good views, to four or five days. 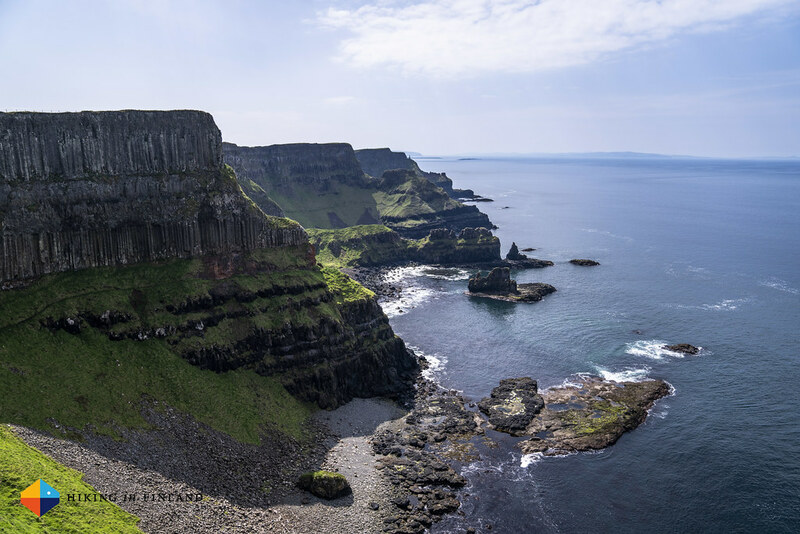 I think six days including travelling is ideal, that’d allow you to also explore Rathlin Island, Belfast or Dublin a bit. Also, there’s more photos on Flickr. Just some key pieces which I’d like to point out [Disclaimer! I’m a Houdini Friend and Helsport Ambassador]: The Houdini Activist Tee is pretty much the only T-Shirt I own, I got rid of all others. These shirts are simply super comfortable, don’t smell sweaty even after several days of hiking, and are easy to wash in a sink. Equally great is the Houdini MTM Motion Lite Pants, these are very thin softshell pants which keep insects, the sun and wind from my legs, and allow me to scramble and climb. I love my Luna Sandals OSO Flaco and wear them whenever I can. 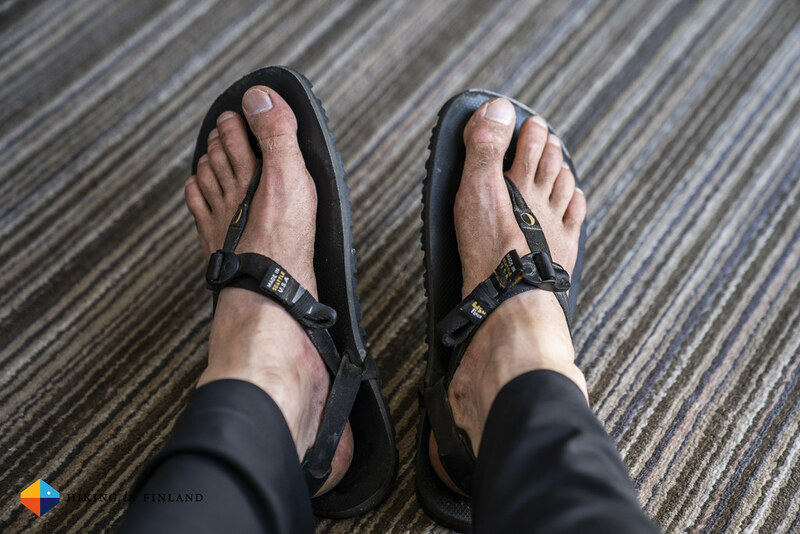 There’s no better pair of shoes for me during the warm time of the year, if you have not yet tried Luna Sandals you really are missing out! I had a Houdini Wisp Jacket and a Houdini Come Along Jacket to keep me warm and out of the wind/ rain, I wore these only the last day and during the evenings. 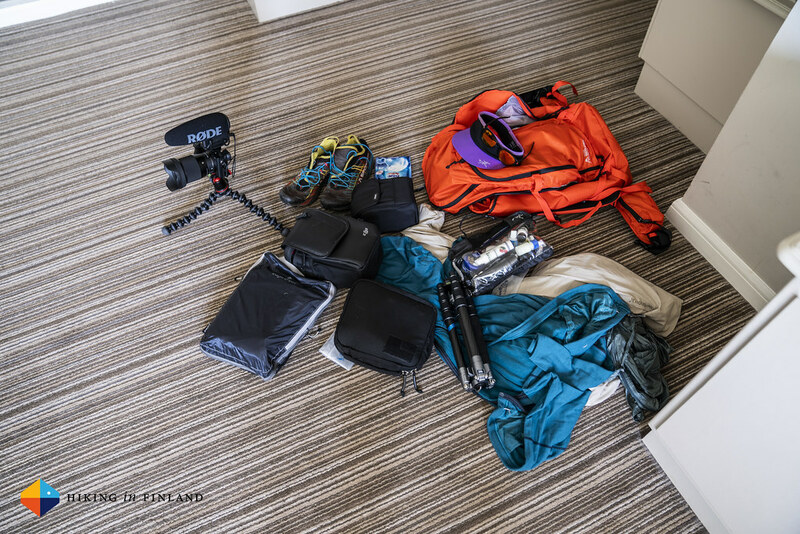 I also only brought one pack for everything, that was the Helsport Snota Xtreme 40. It carried very comfortable the whole time, I only should make the hipbelt straps shorter as they are waaaaaay to long. I really like the Zipper on this pack, it allows me to easily access the inside and get e.g. my Tripod out.